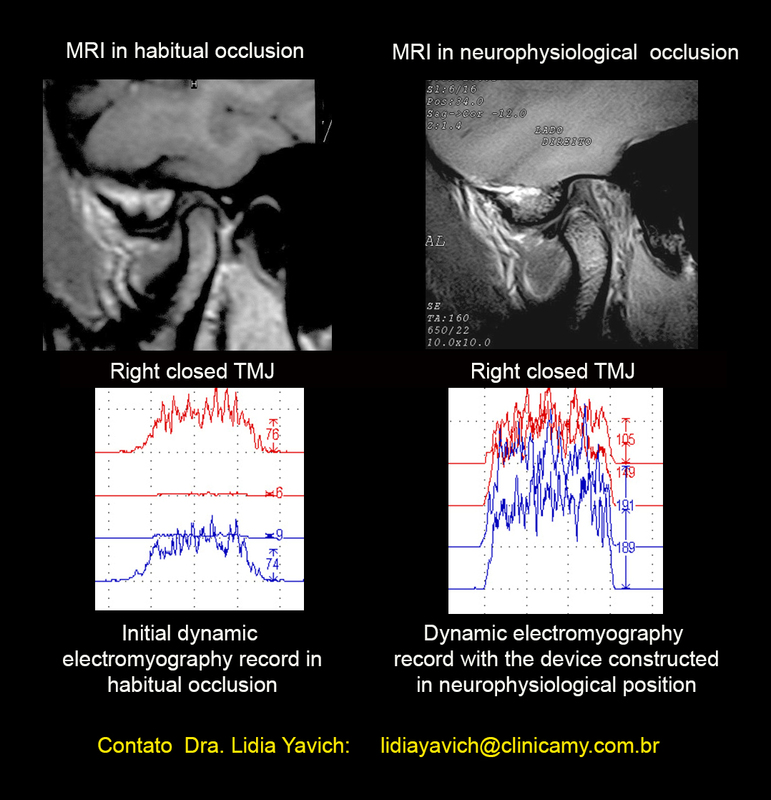 In the former publications of this study page some of the neurophysiological fundaments of the TMJ pathologies treatment were presented, the importance of the differential diagnosis and also the utilization of bioinstrumentation like surface electromyography and jaw tracker were also introduced. 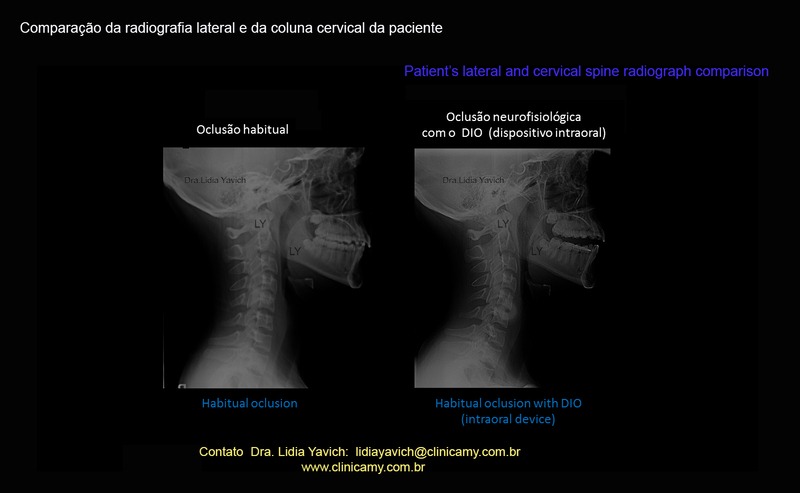 Patients images relating their symptomatology were also shown, some of the diverse etiological factors as traumatisms in infancy, especially green stick fracture, intra articular discs recapture in reducible dislocations, interrelation between Craniomandibular disorders and vertebral spine, as well as a case of cervical dystonia and its relation with TMJ that can also be read in this page. 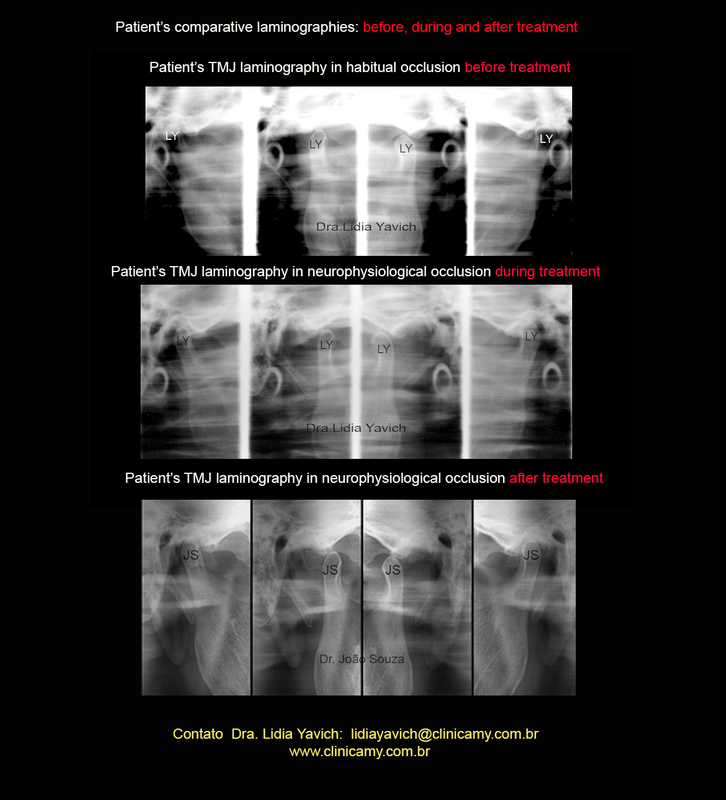 From December 2014 there were seven publications. 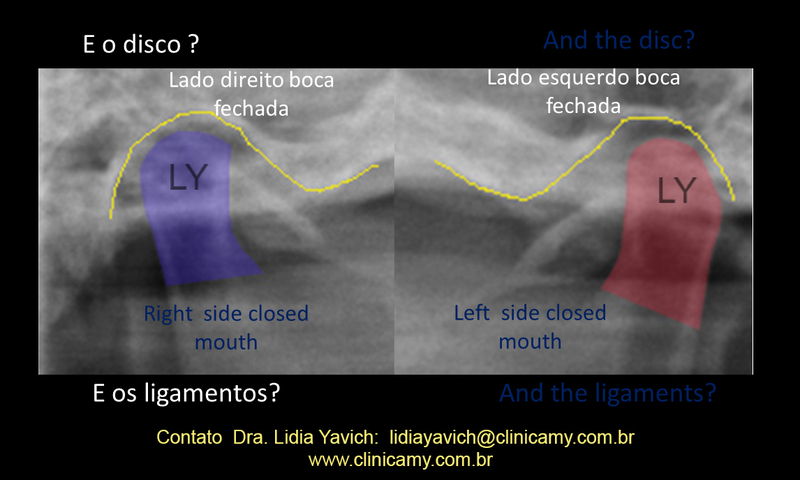 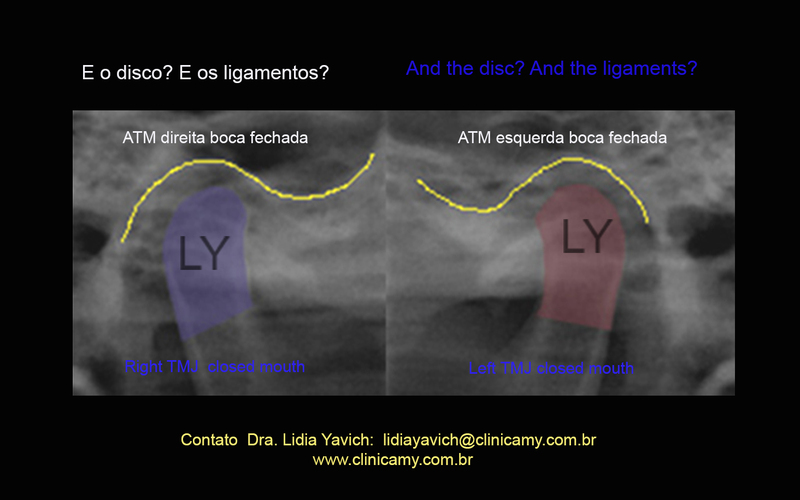 When we talk about TMJ pathologies treatment we need to understand that there are different approaches. 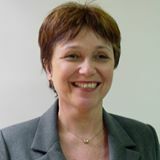 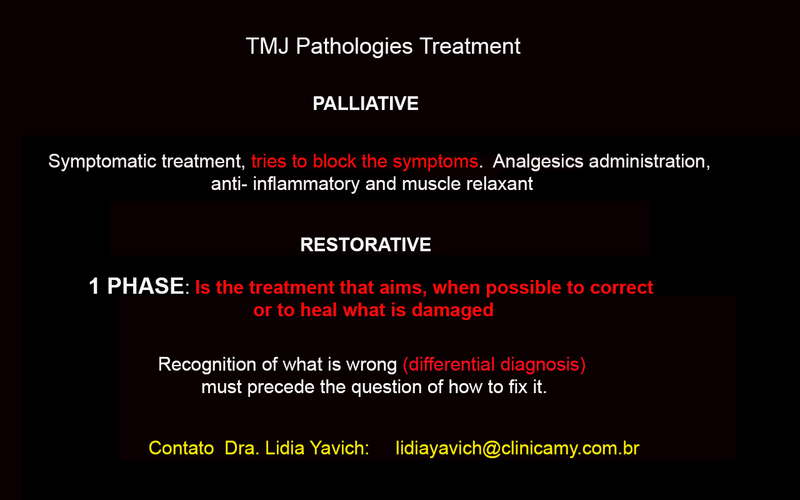 The proposal of a Palliative treatment is the Symptomatic treatment, which tries to block the symptoms. 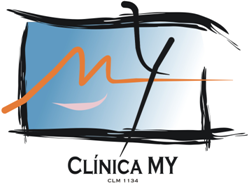 For that means, it uses analgesics administration, anti- inflammatory drugs and muscle relaxants. 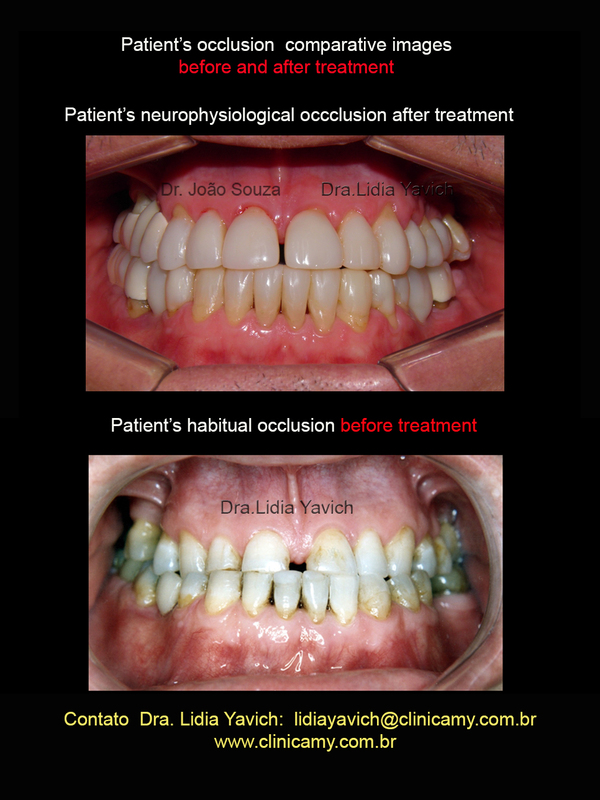 The restorative approach is the treatment that aims, when possible to correct or to heal what is damaged. 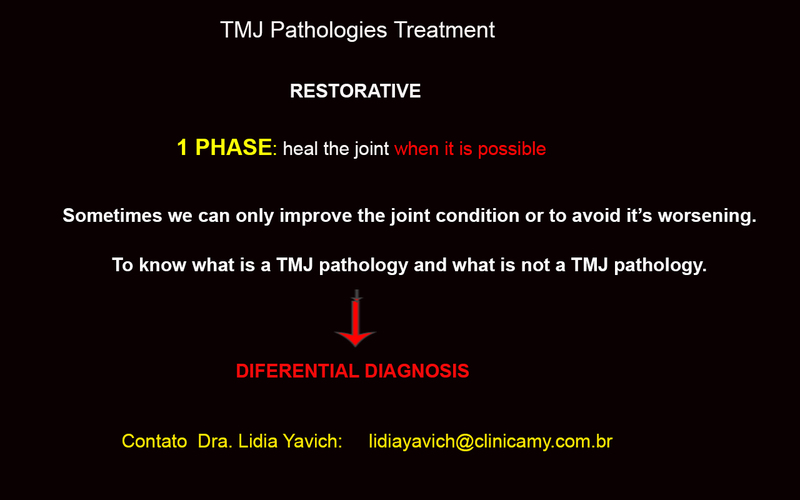 Recognition of what is wrong (differential diagnosis) must precede the question of how to fix it. 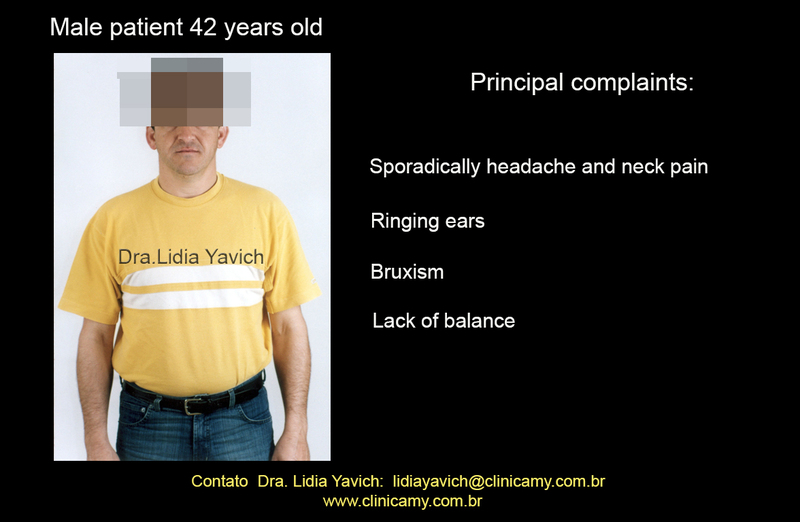 To know what is wrong, it is necessary a differential diagnosis. 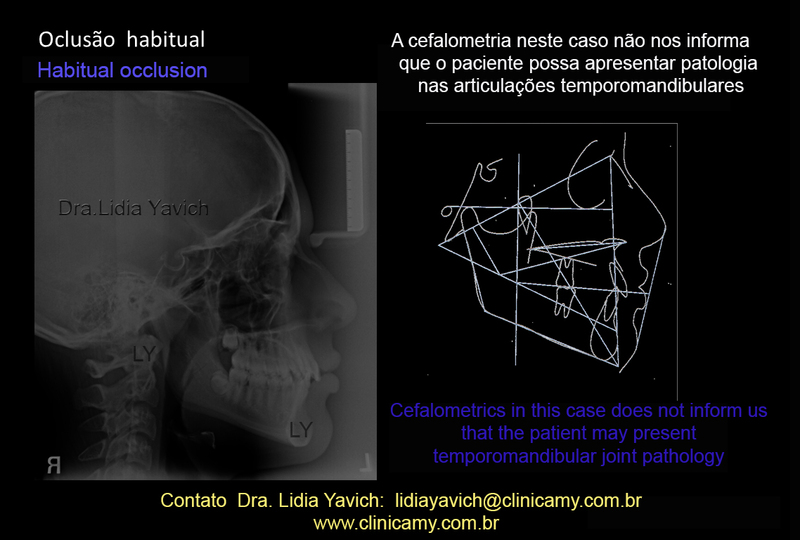 This diagnosis must always be elaborated before we reach a treatment proposal. 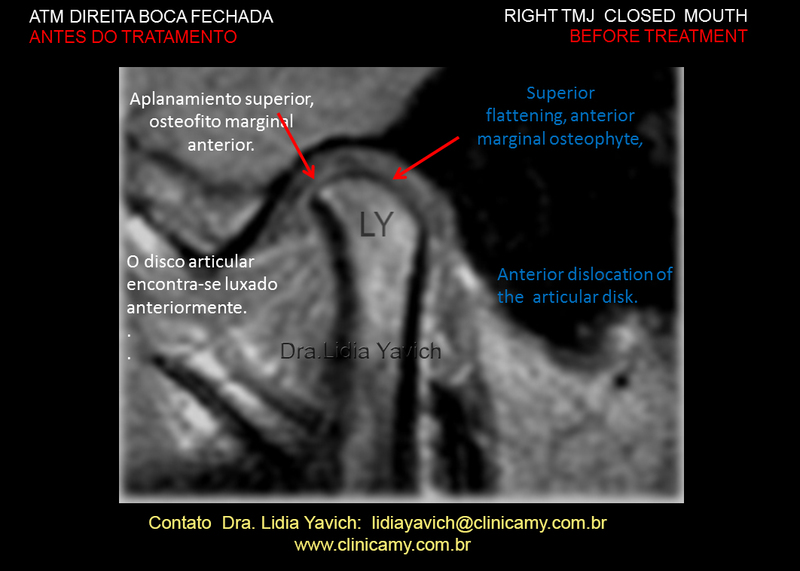 When our proposal is a restorative treatment, we have a FIRST PHASE where the objective is to heal the joint when it is possible. 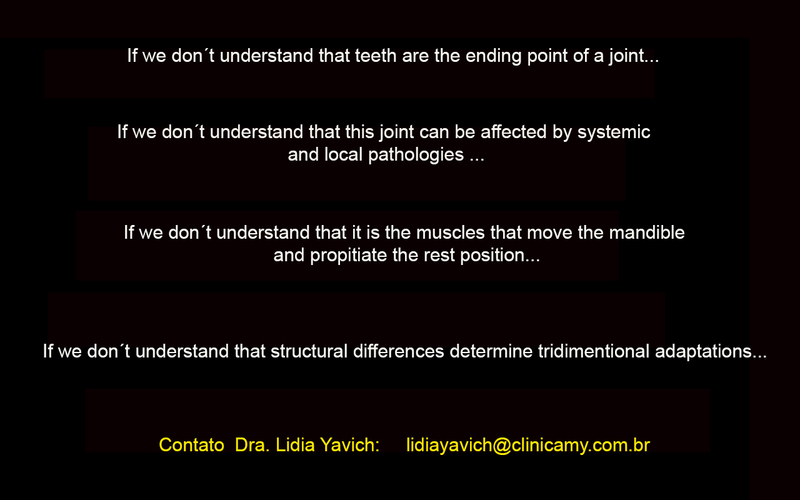 Sometimes we can only improve the joint condition or to avoid its deterioration. 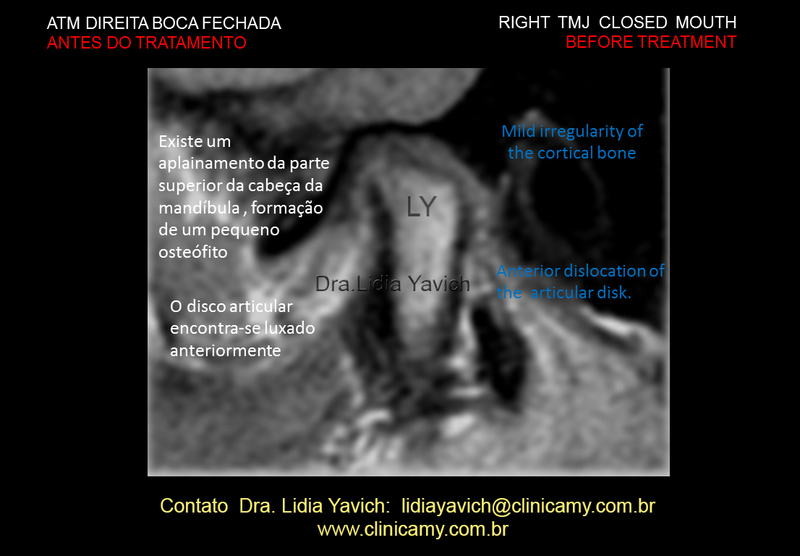 To know what we can treat and what we cannot deal with, and the limitations of every individual case. 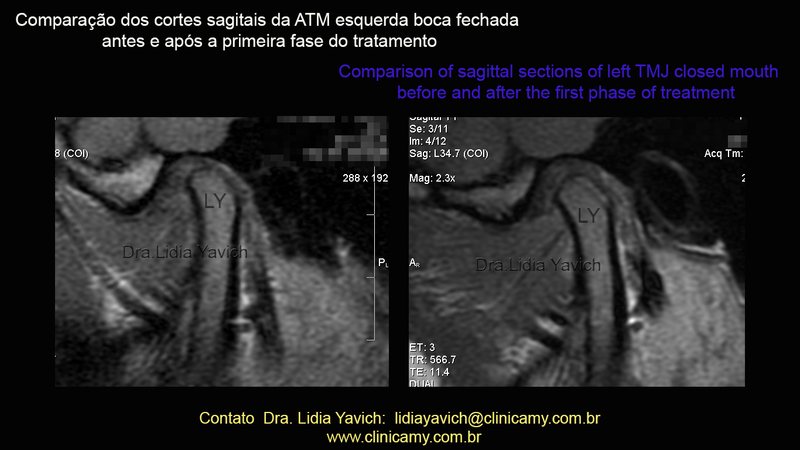 When we finished the first phase, we compare if the control images of the case corresponds with the goals we intended to achieve in our initial diagnosis. 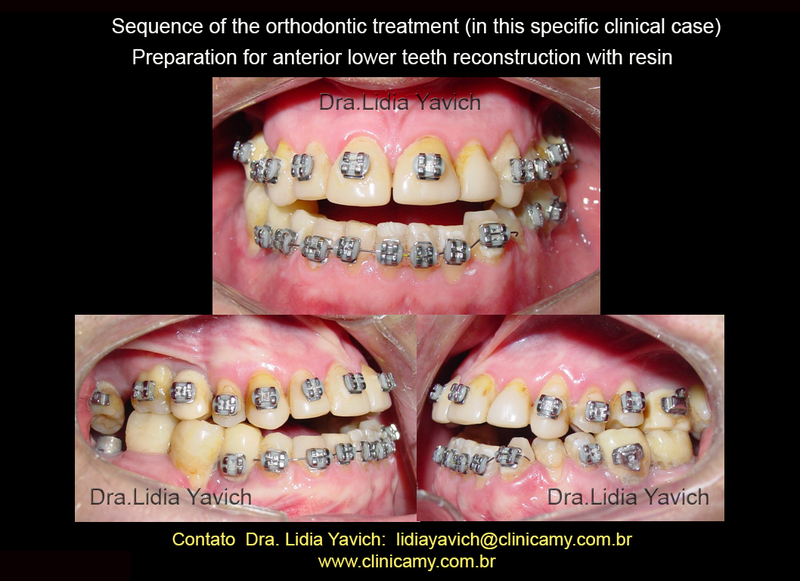 We know that there are cases that can meliorate, others that we can avoid its aggravation, and still others that we can only can relieve the pain. 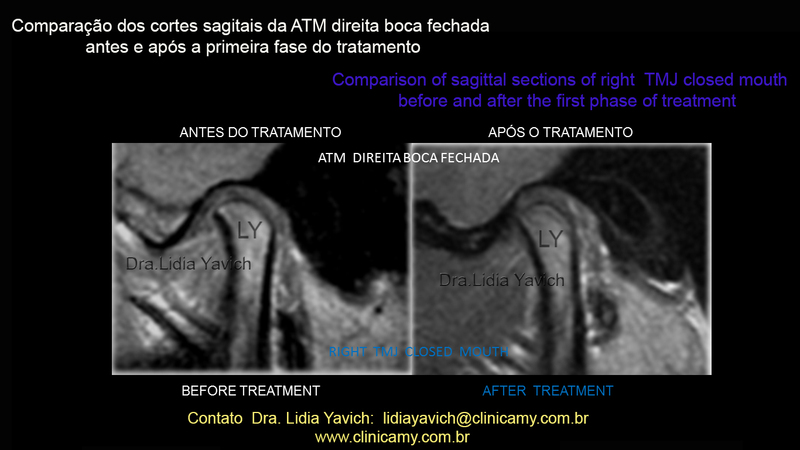 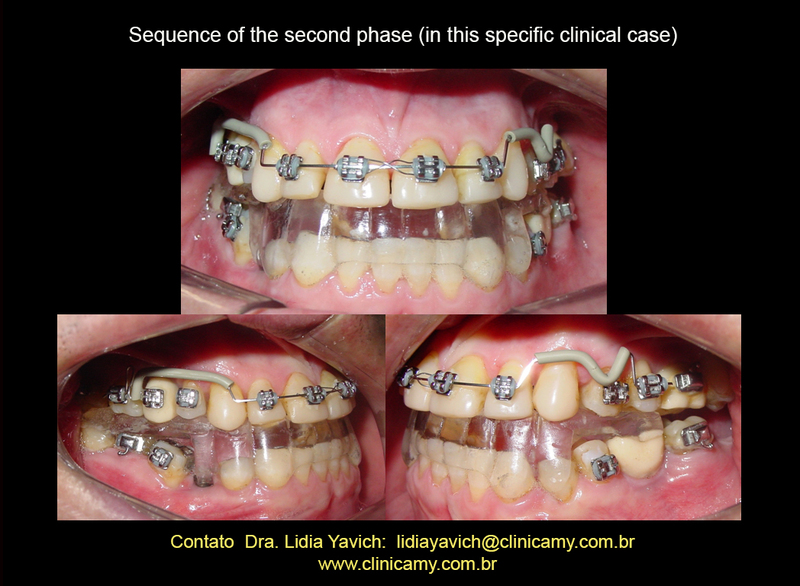 If the case has positive results of the first phase we can initiate a second phase of the treatment in order to remove the device that is used in a permanent way during the first phase of the treatment. 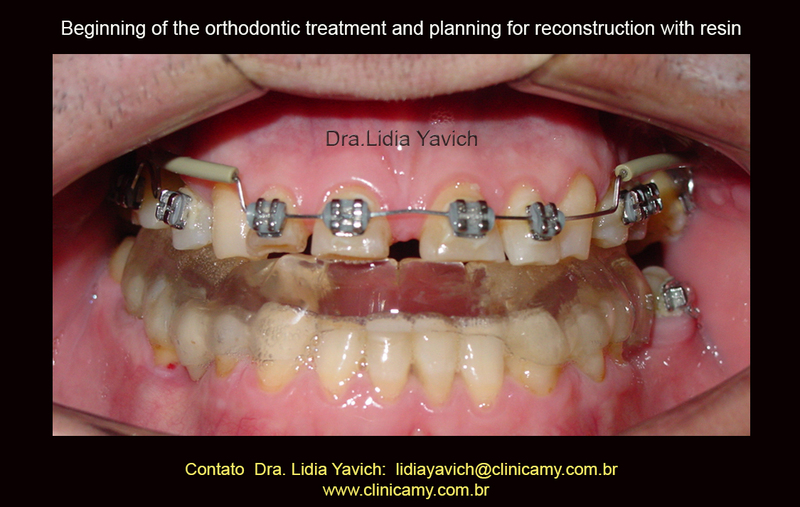 For this we can perform a tridimensional orthodontics, a neurophysiological rehabilitation or the combination of both. 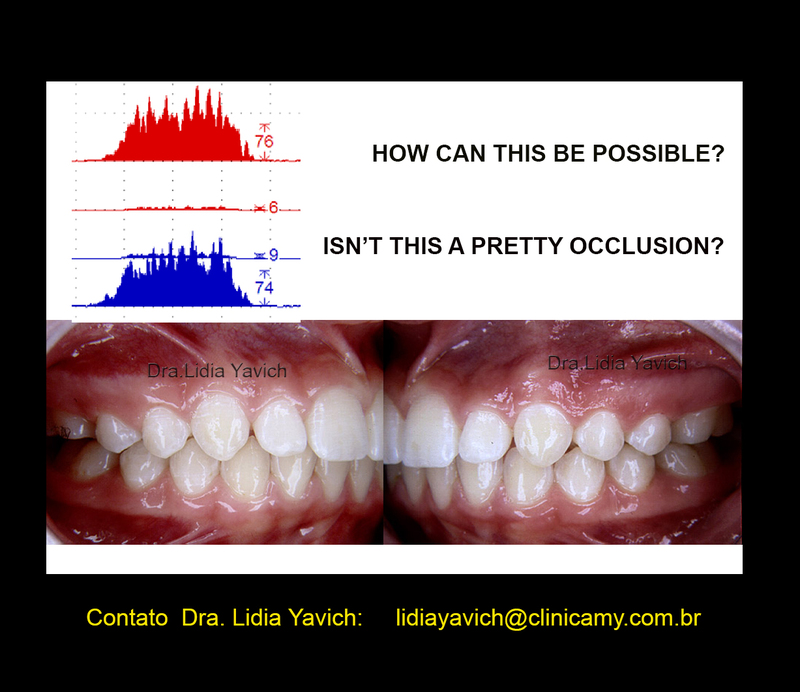 Always remember of keeping the mandibular localization in equilibrium with the muscular planes, temporomandibular joint and dental planes. 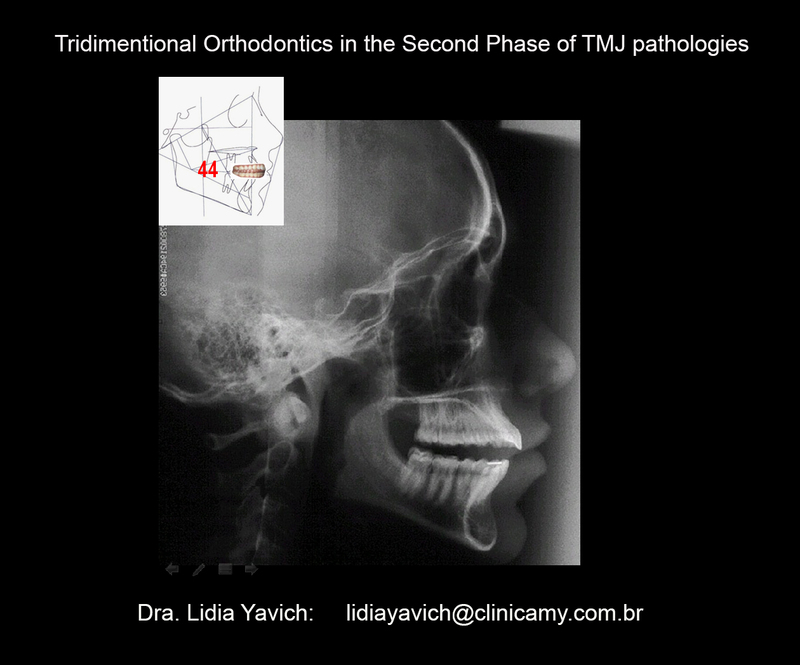 The patient had remission of her symptomatology (ear pain irradiated from the TMJ since childhood), and now she was preparing herself to initiate the second phase with a tridimensional orthodontics. 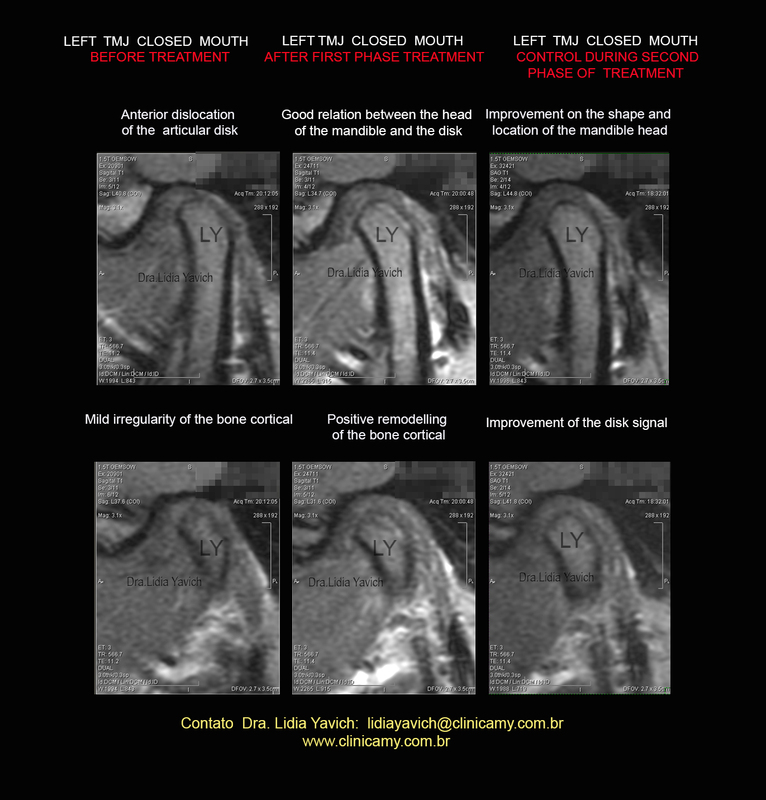 I wasn´t satisfied with her breathing so again I asked for an evaluation to meliorate her breathing and consequently her tongue position. 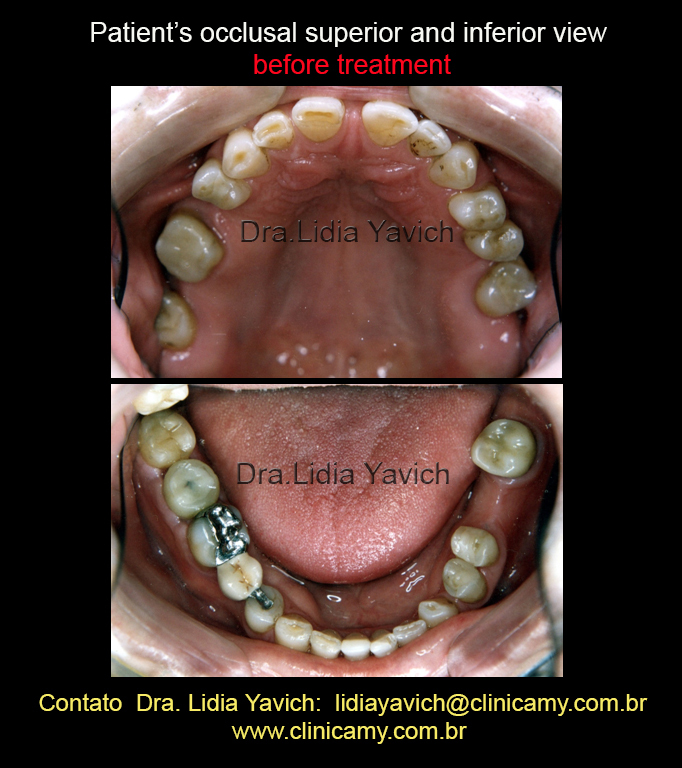 The professional that made this evaluation affirmed that the patient presented an open bite and that she needed to consult a buco maxillary surgeon to “close her bite” by surgery. 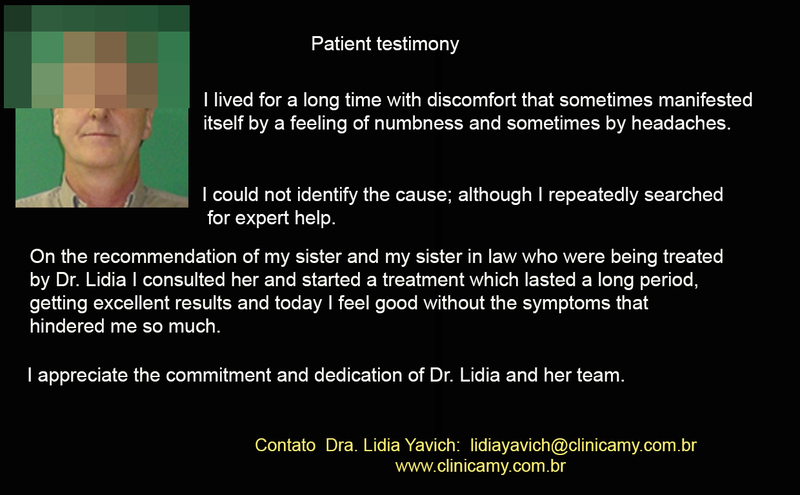 In any way I demand complicity of any professional, since I consider ethics beyond everything. 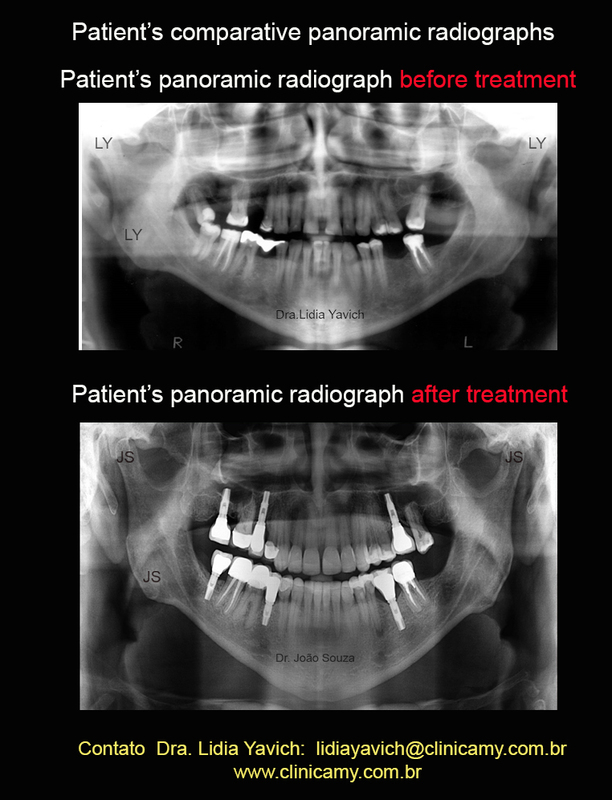 As much as respect for the patient. 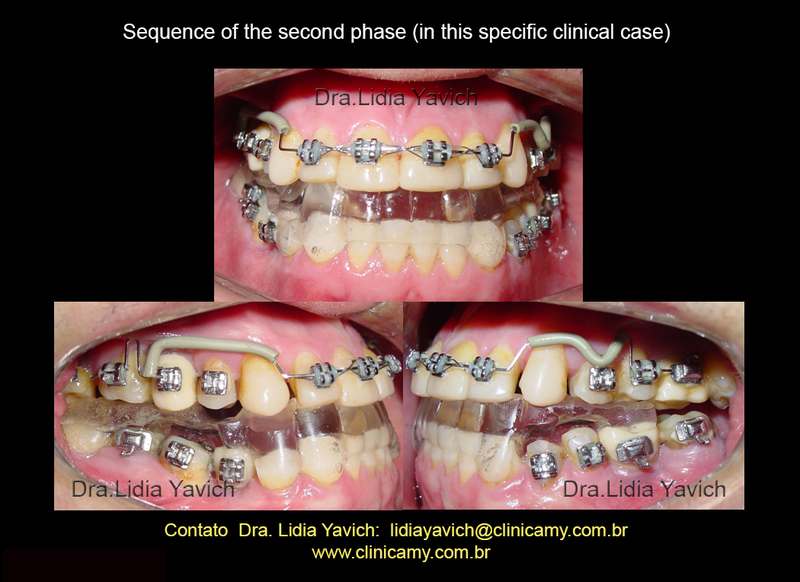 Before the SECOND PHASE, let´s begin with the FIRST PHASE. 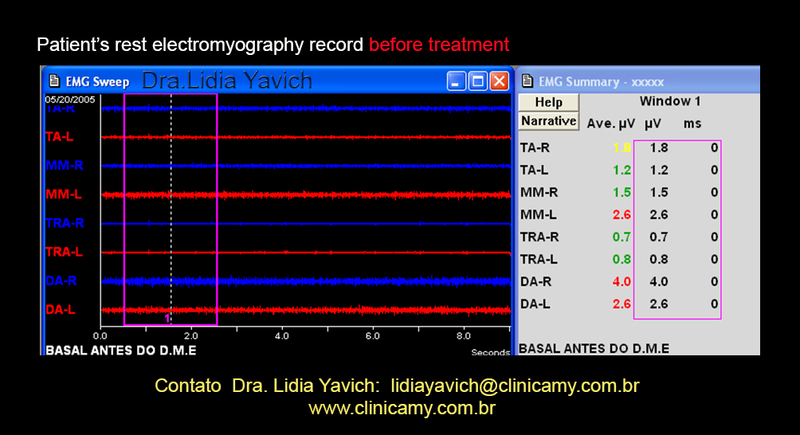 Female patient, 17 years old consults in the clinic complaining of headache, ear pain, shoulder pain and bilateral clicks. 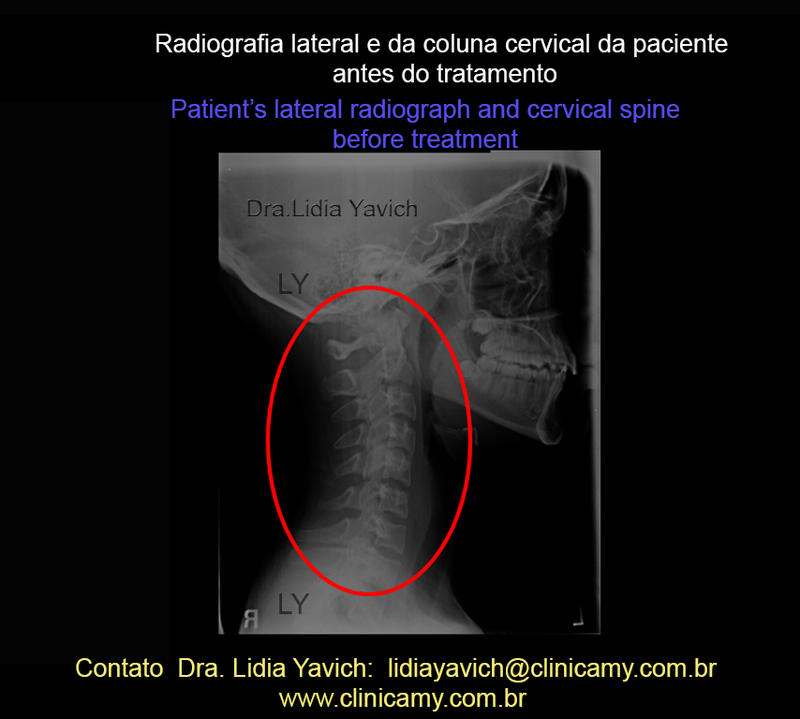 In the clinical inspection she had strong ache when retrodiscal palpation was performed. 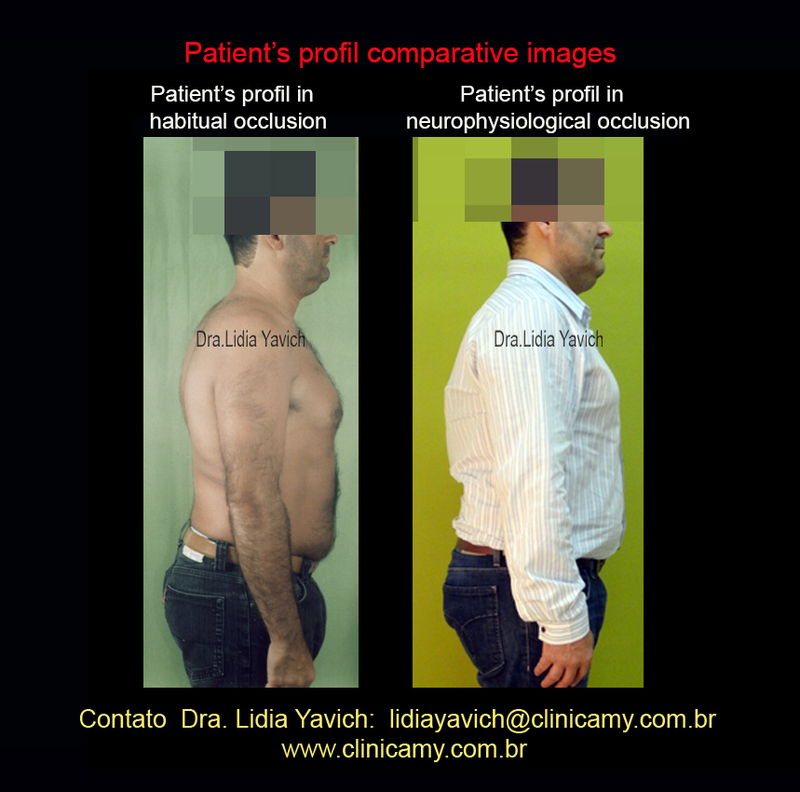 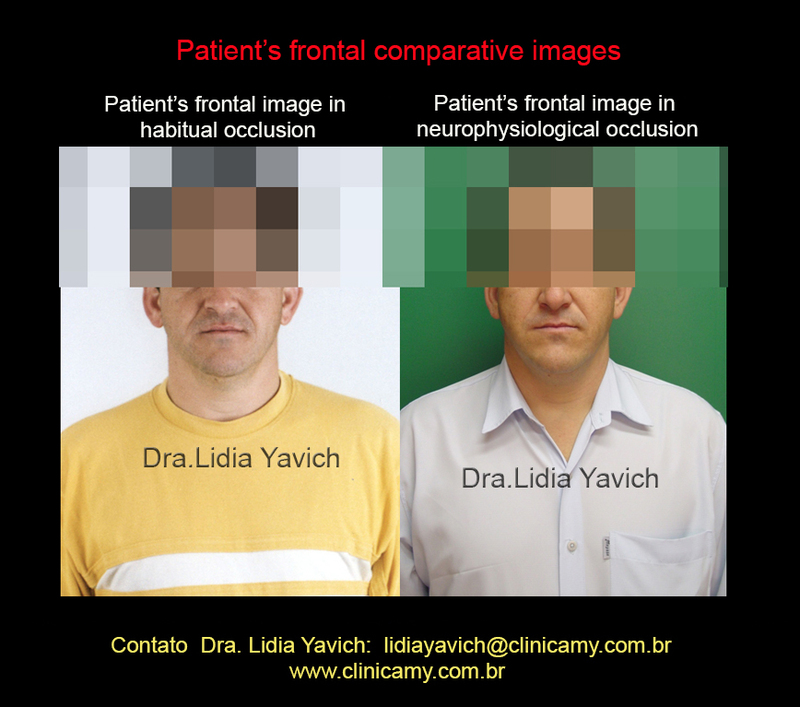 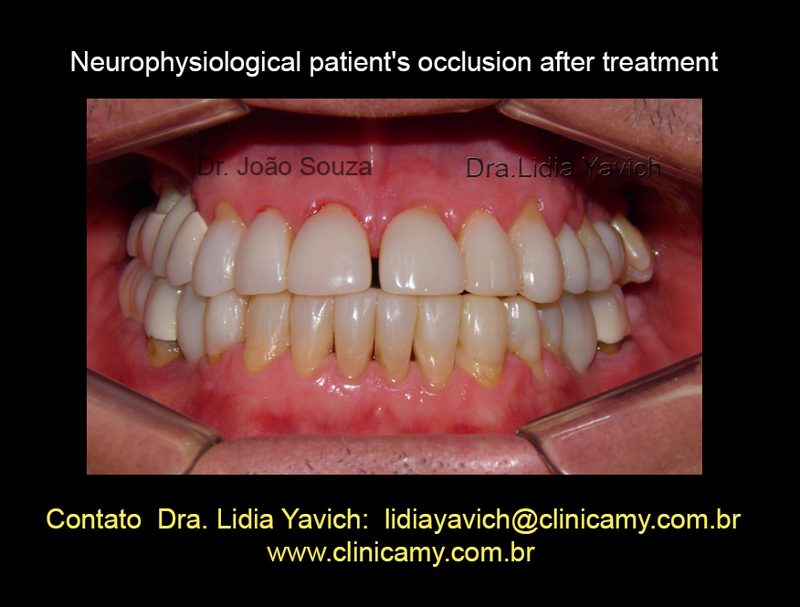 The patient showed an “ideal occlusion” and in the clinical tests she did not exhibits any kind of interferences neither in protrusion nor in lateral translation. 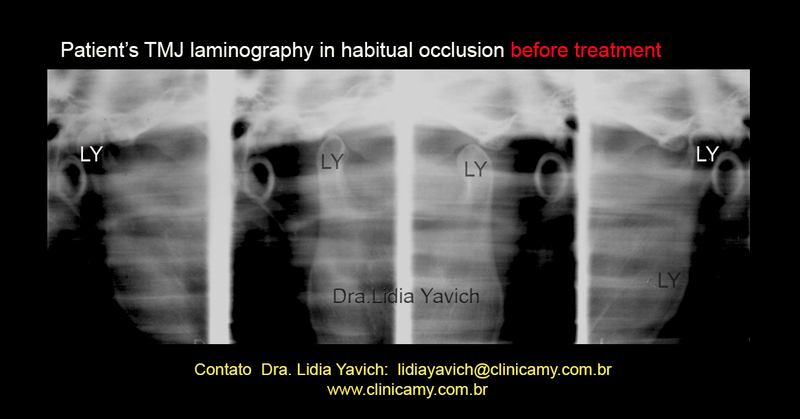 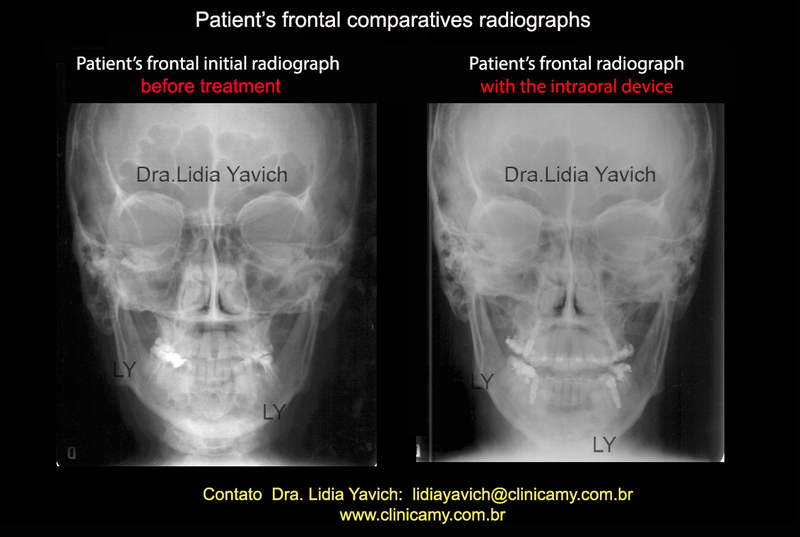 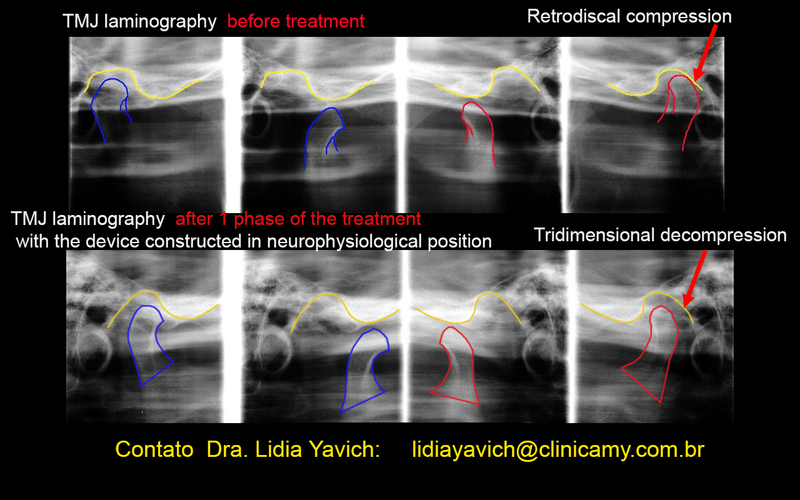 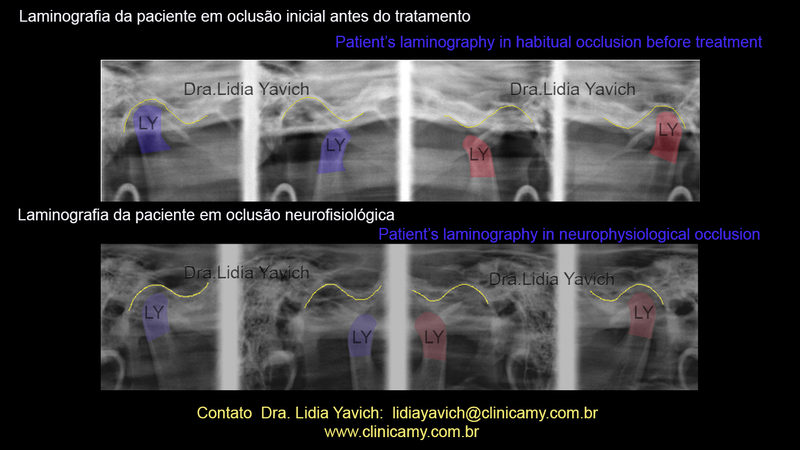 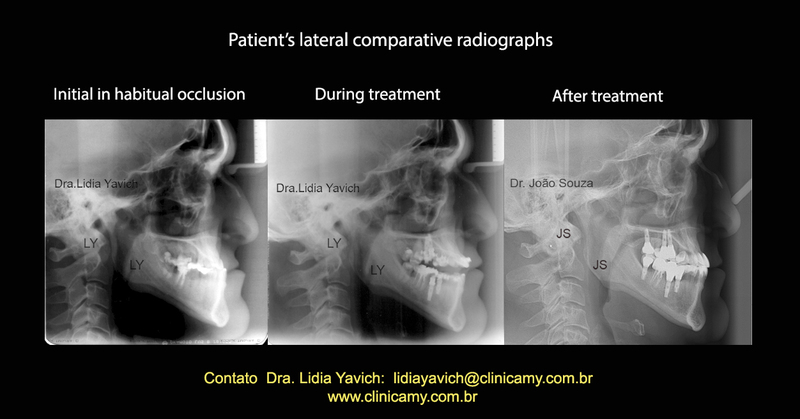 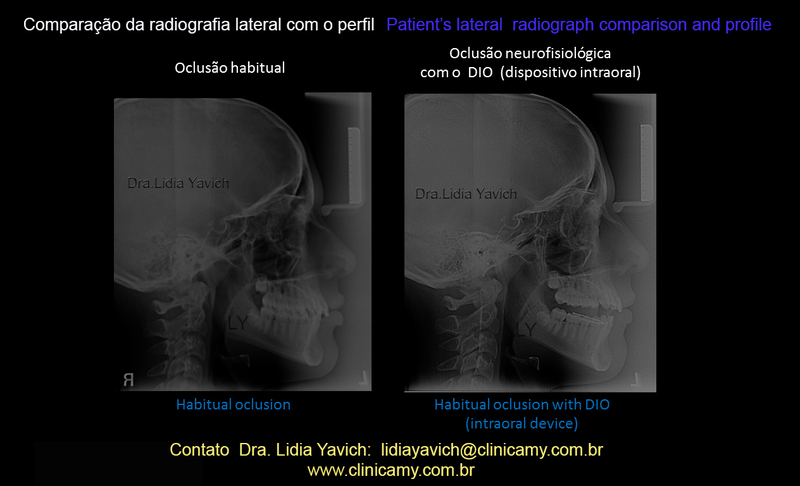 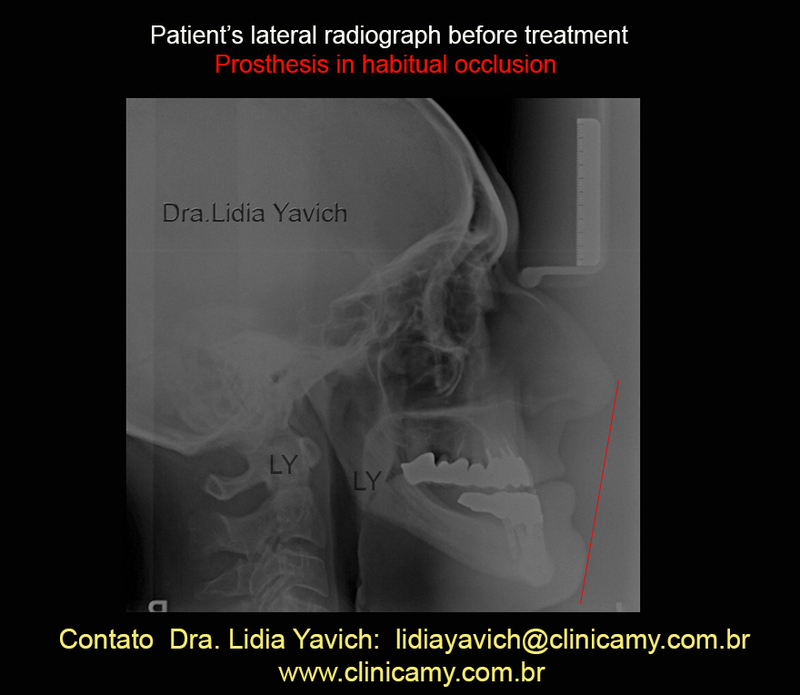 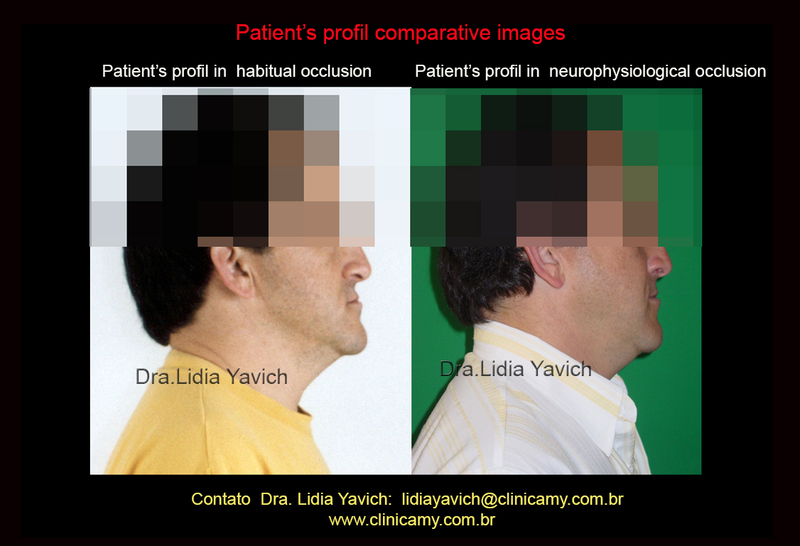 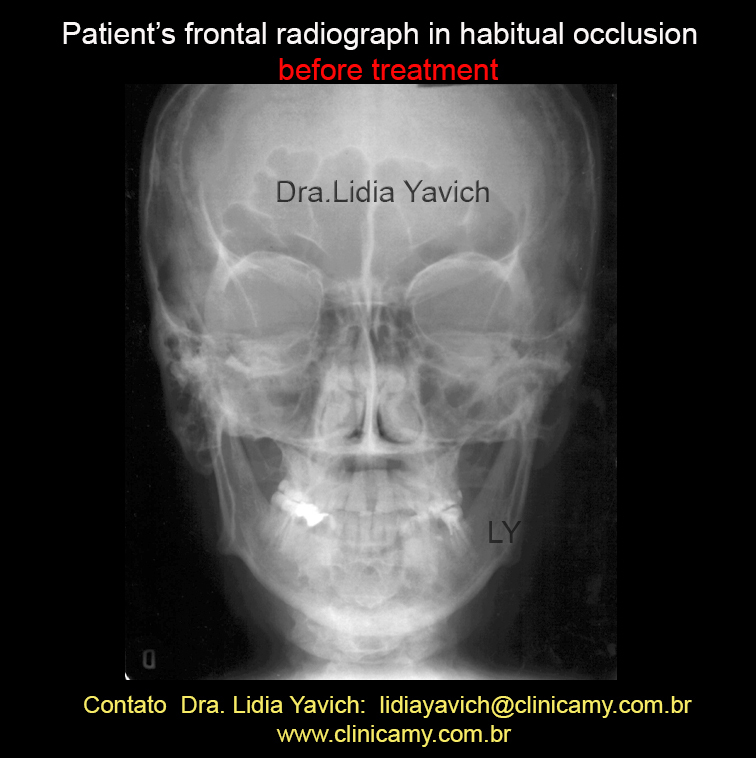 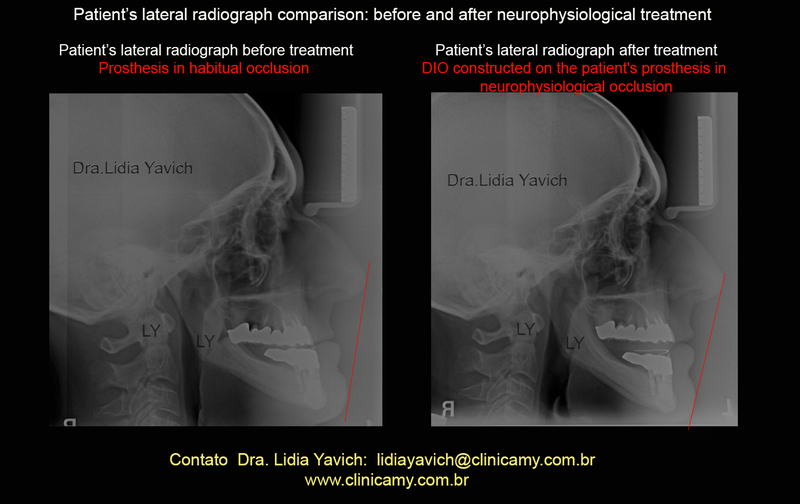 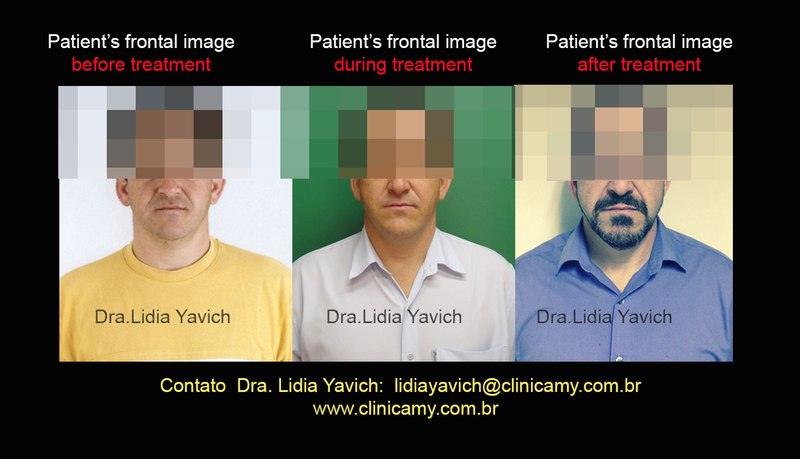 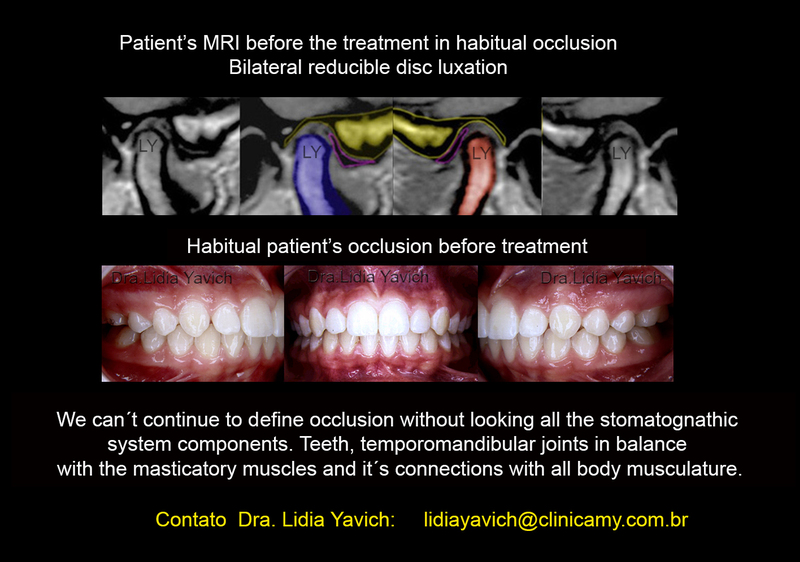 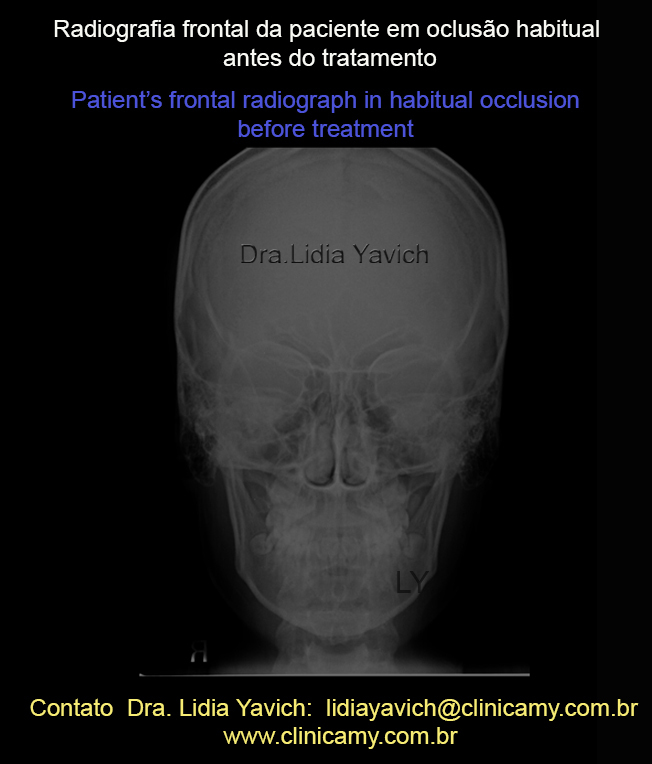 Patient’s initial laminography in habitual occlusion, retro position of the mandibular heads, especially on the left side provoking an important retrodiscal compression. 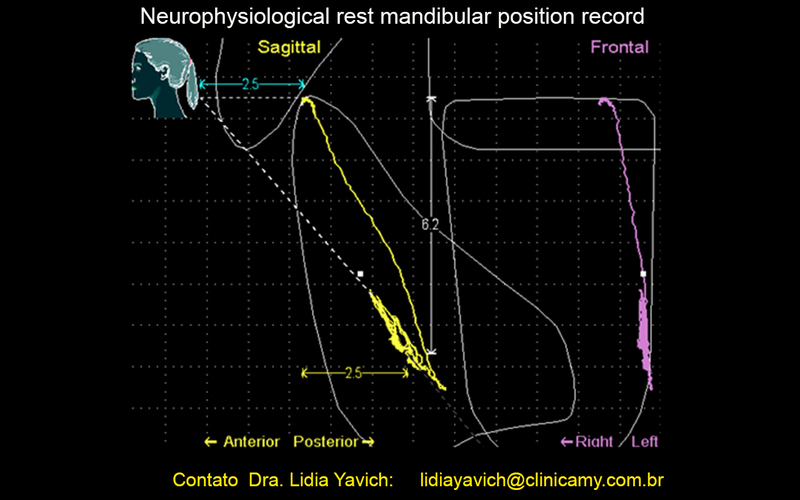 In this record we measure both right and left anterior temporalis, and right and left masseters. 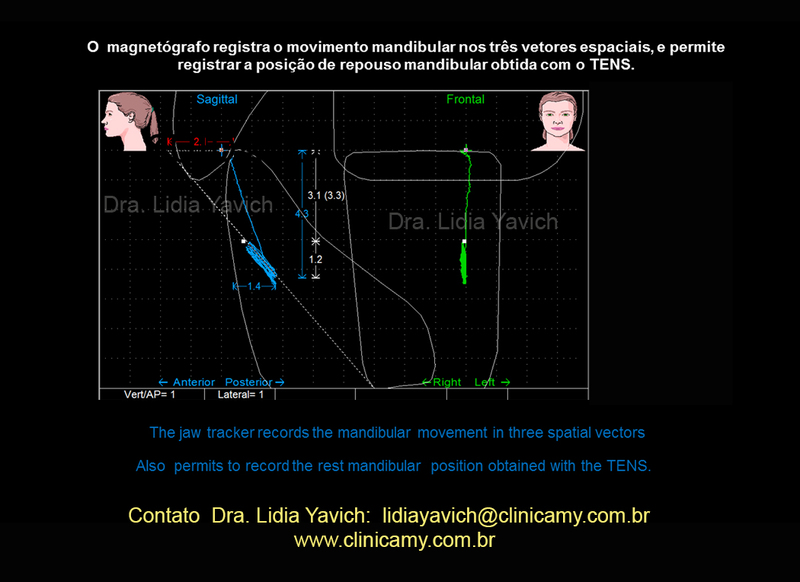 Notice that the masseters that are the most potent muscles of the masticatory system cannot generate activity. 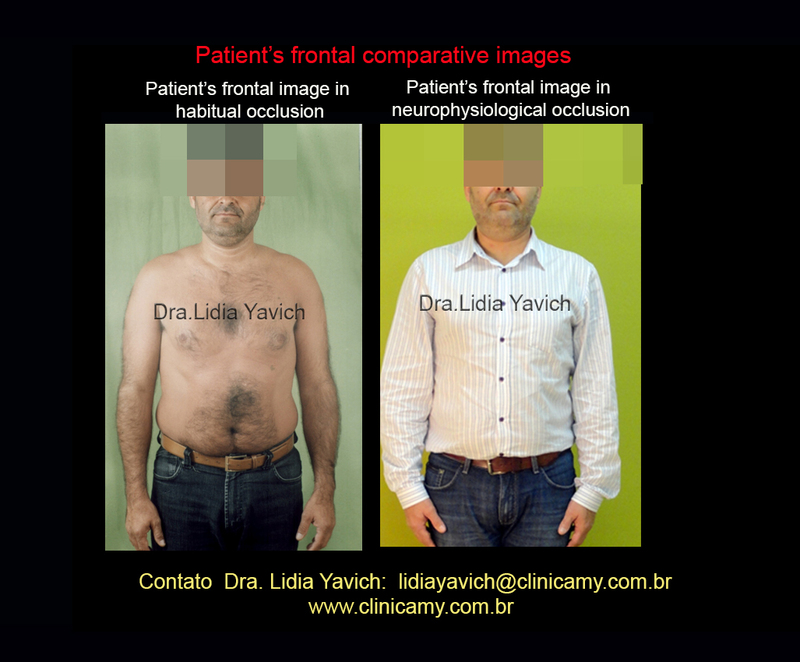 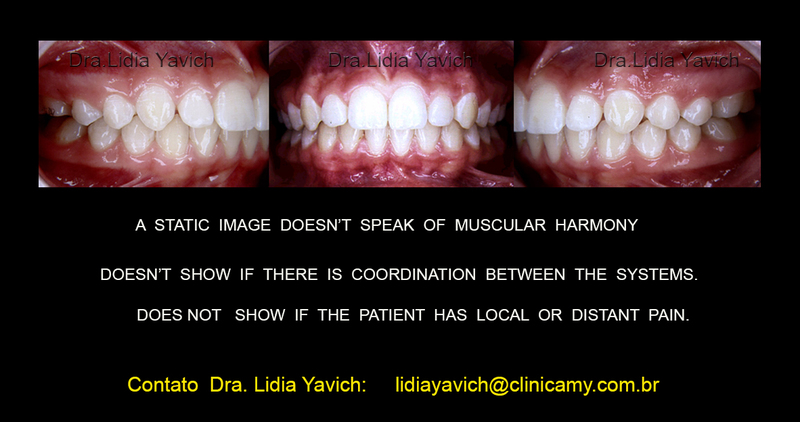 A static image doesn’t speak of muscular harmony, doesn’t show if there is coordination between the systems and does not show if the patient has local or distant pain. 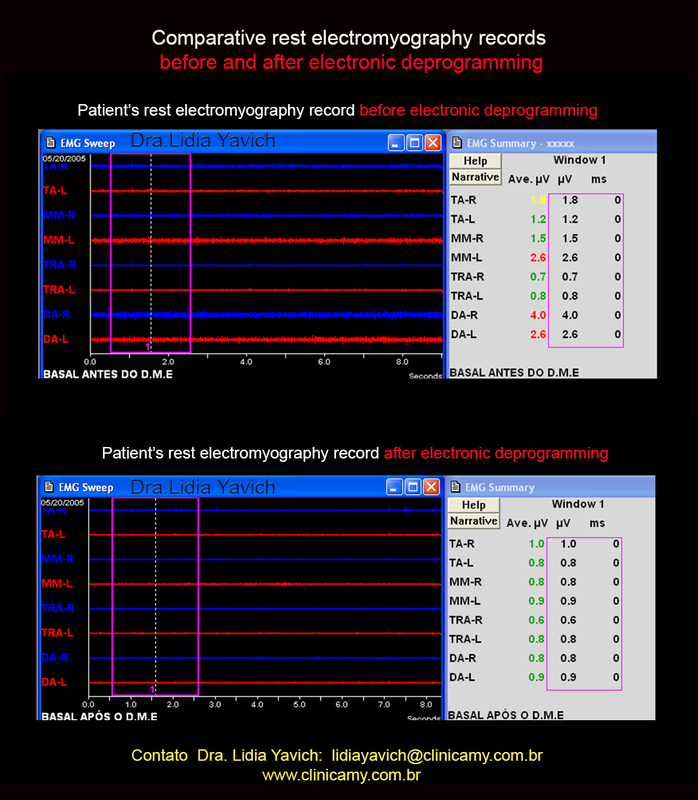 Patient’s masticatory muscles were electronically deprogrammed. 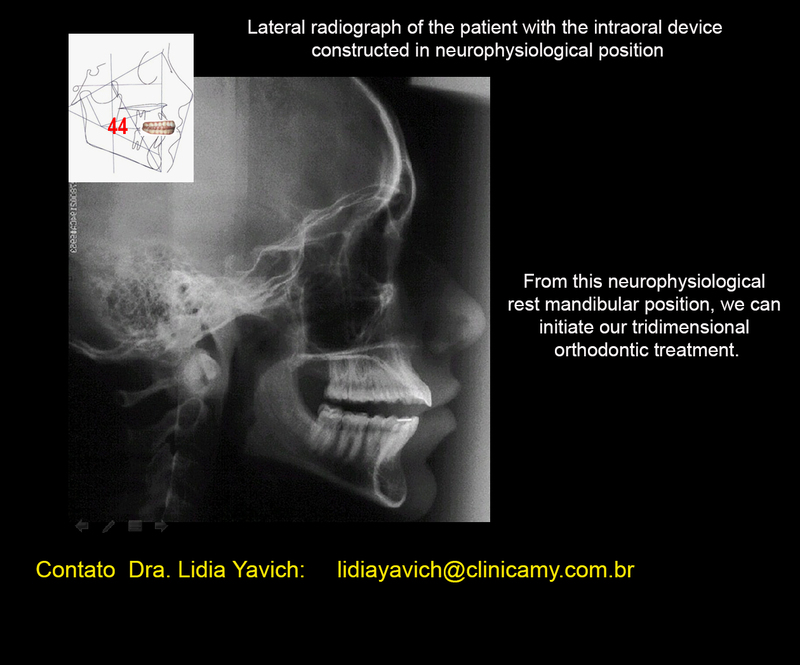 A bite was registered in a neurophysiological position with a jaw tracker. 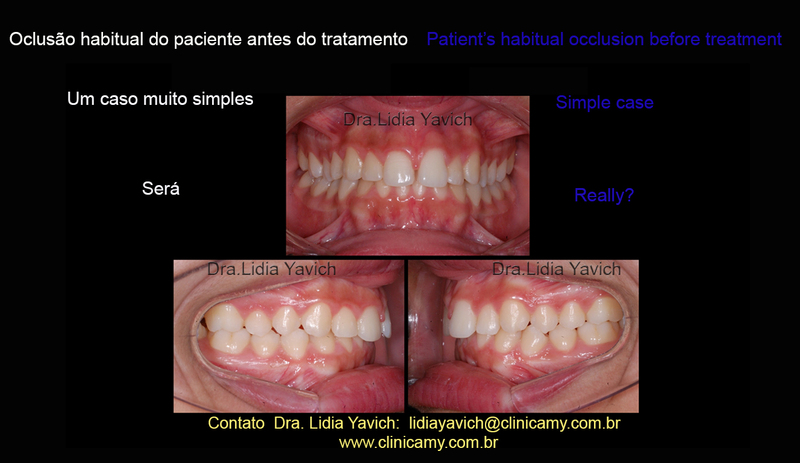 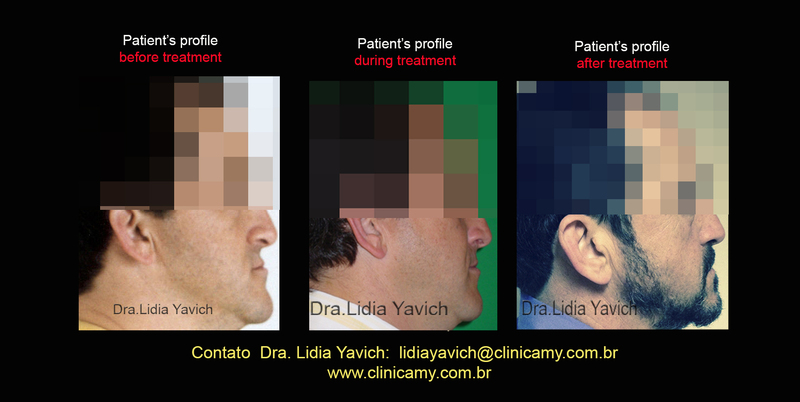 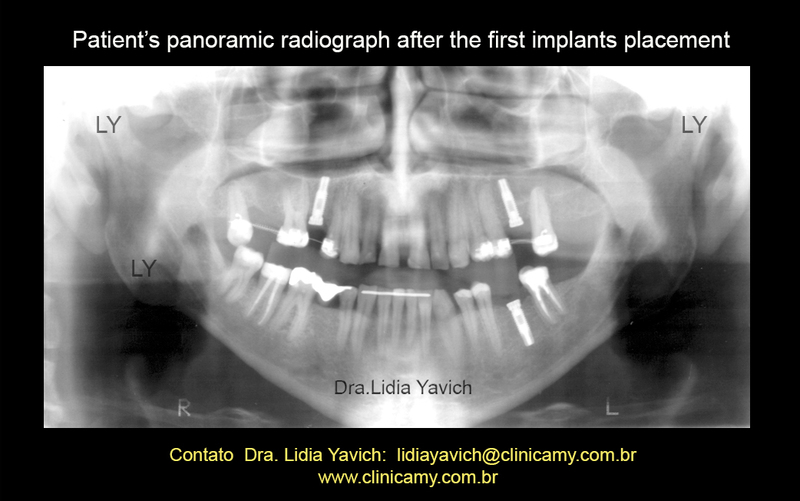 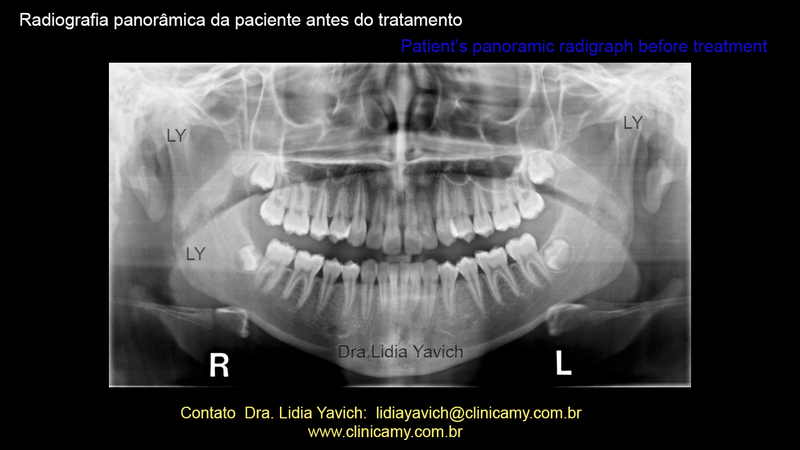 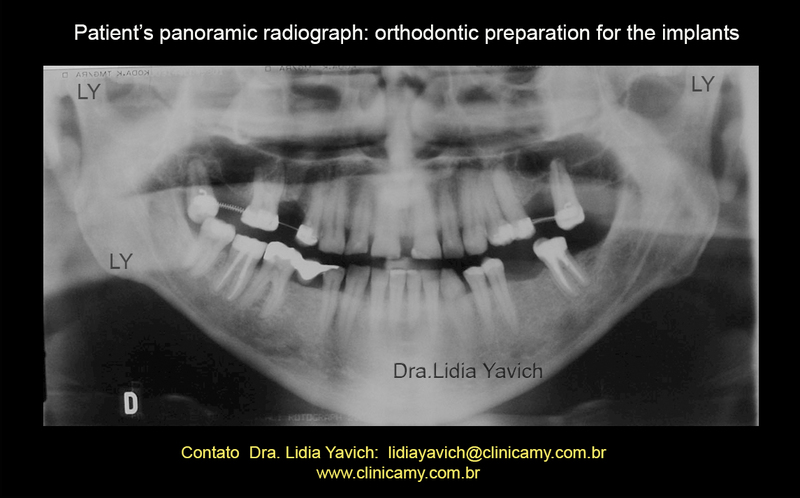 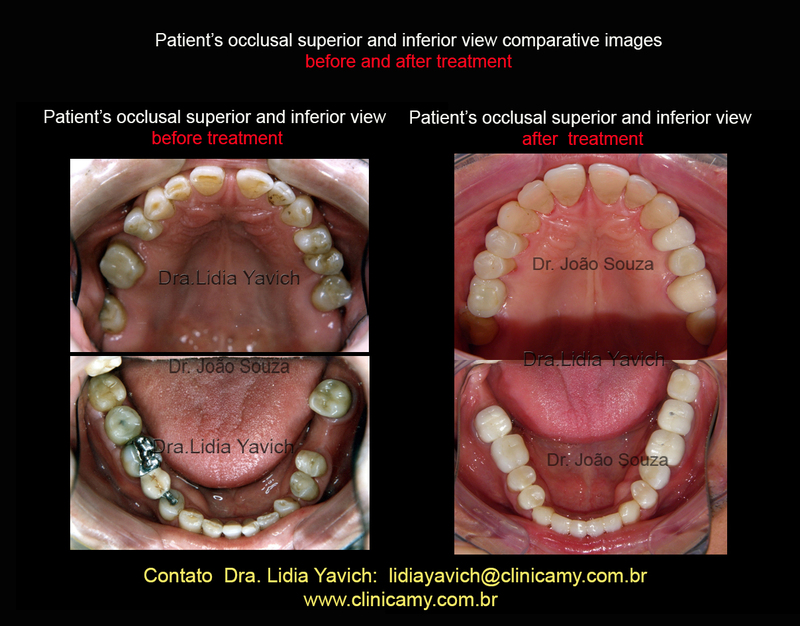 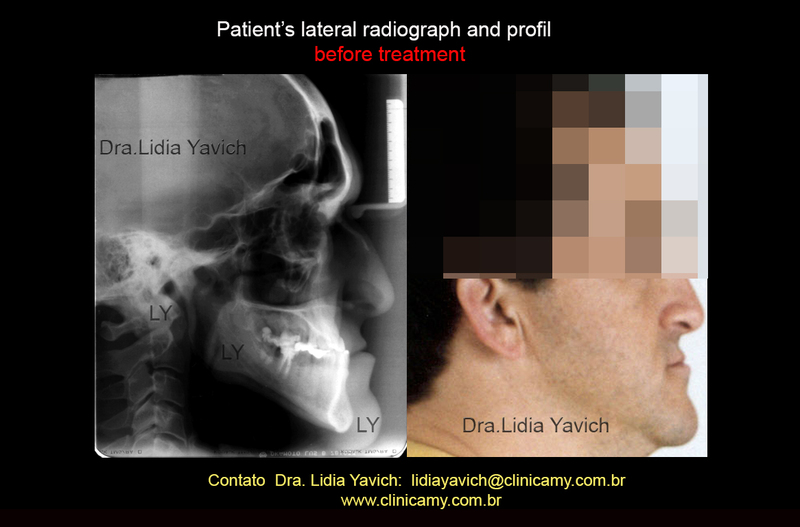 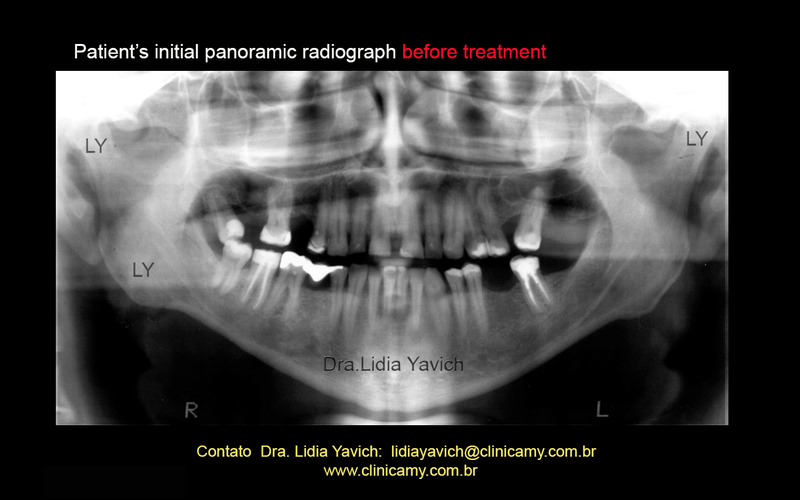 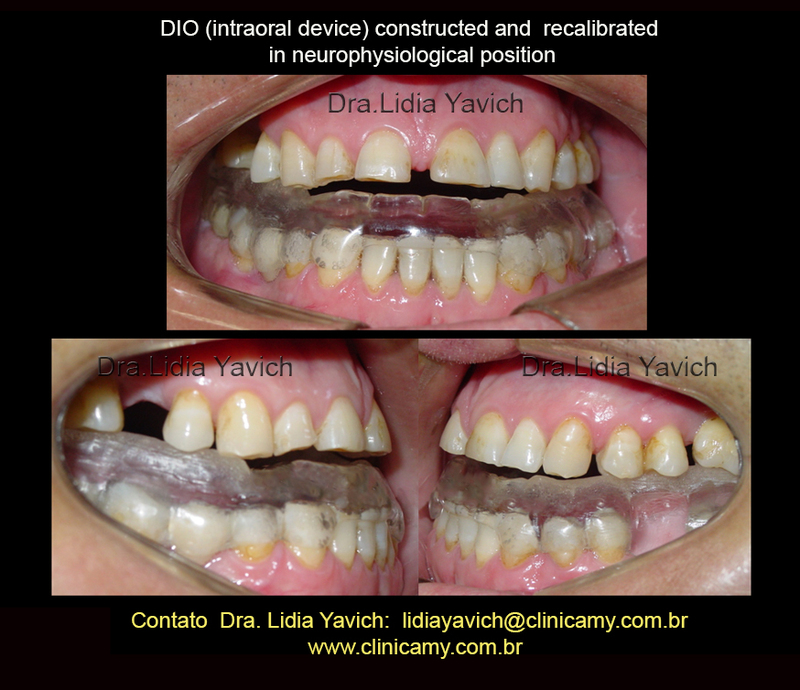 The patient presents a pathological free way space of 6,2 mm and a retro mandibular position of 2,5 mm. 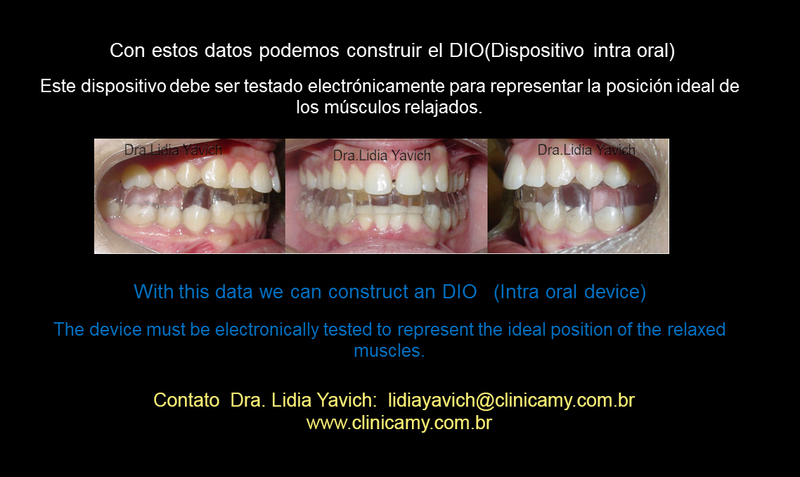 With this data we construct an intraoral device (DIO) tested electromiographically to support the neurophysiological occlusion. 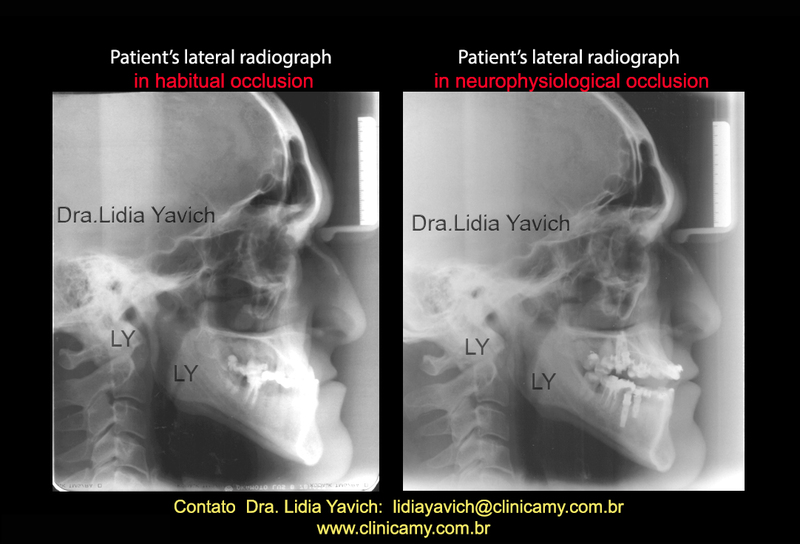 Patient’s initial laminography in habitual occlusion, retro position of the mandibular heads, especially on the left side provoking an important retrodiscal compression. 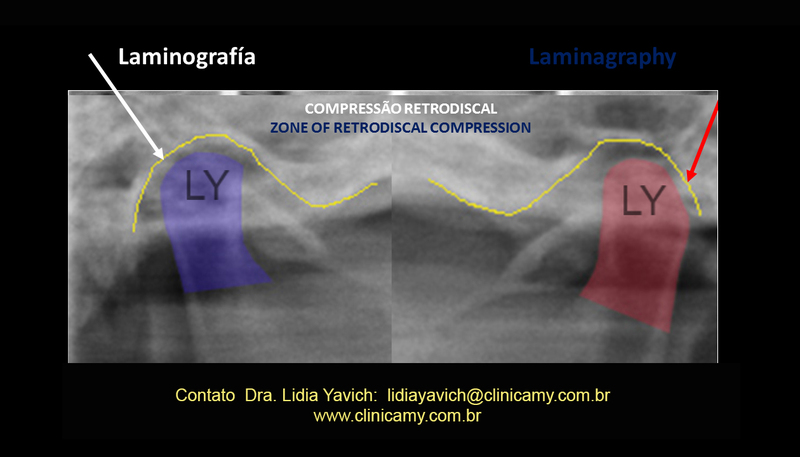 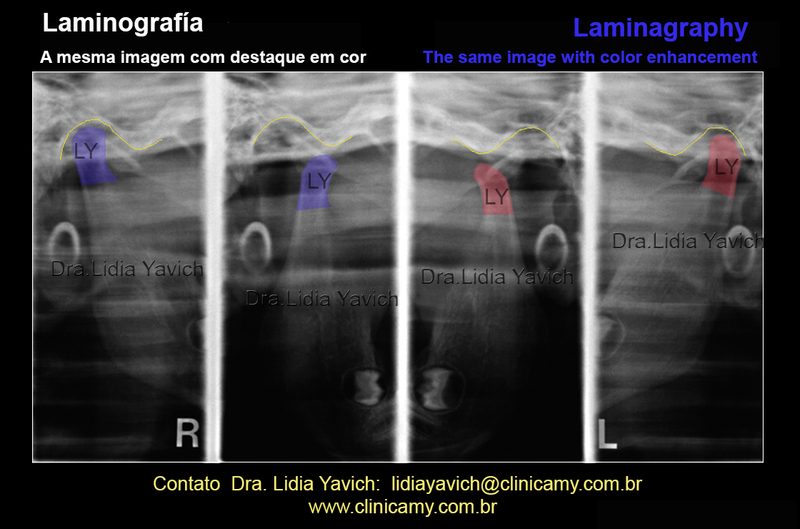 The new laminography with the intraoral device in neurophysiological position shows the tridimensional decompression of the retrodiscal zone. 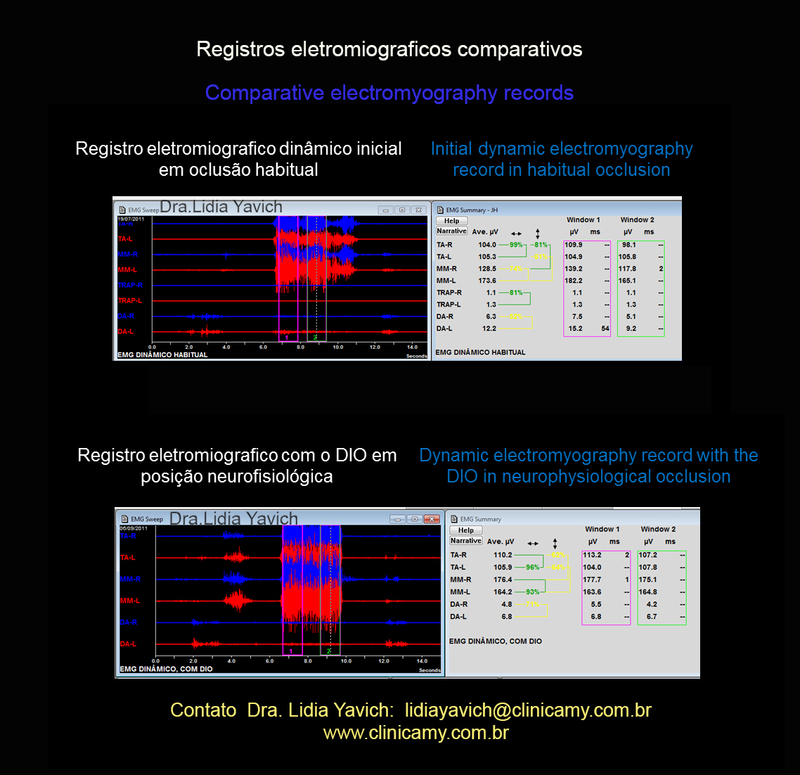 Comparison of the two electromyography records the first in habitual occlusion and the second with the intraoral device in neurophysiologic position. 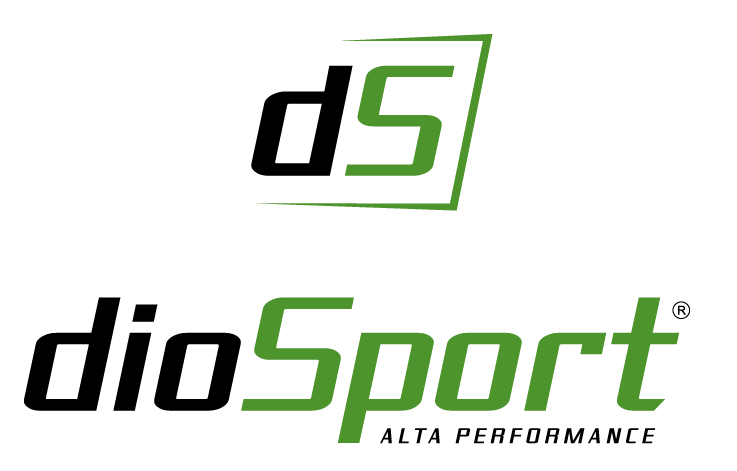 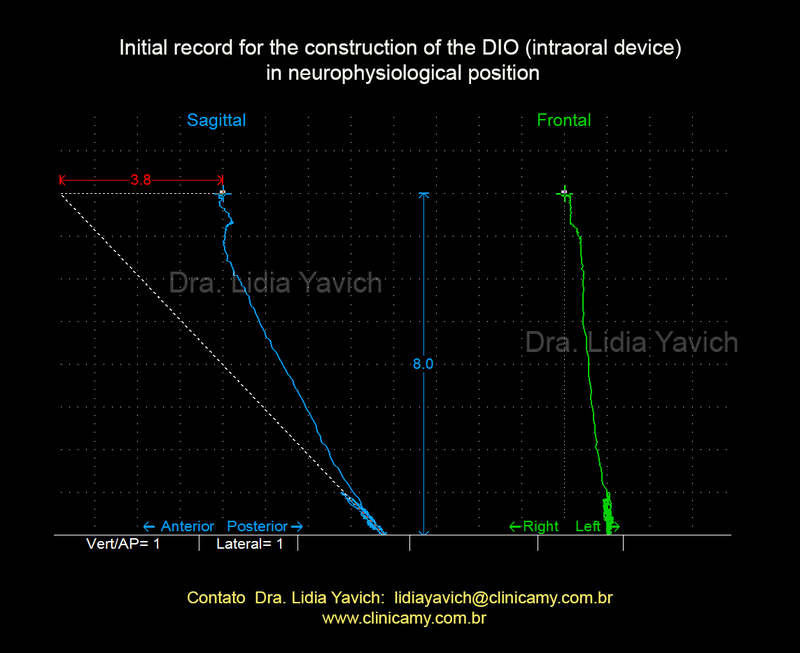 The masseters present excellent activity with the DIO, compare the first initial record where these muscles couldn’t activate. 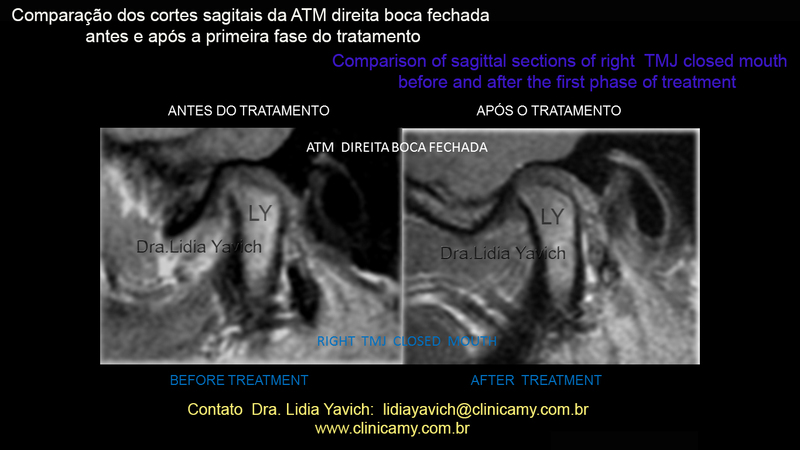 Comparison of one of the slices of the MRI. 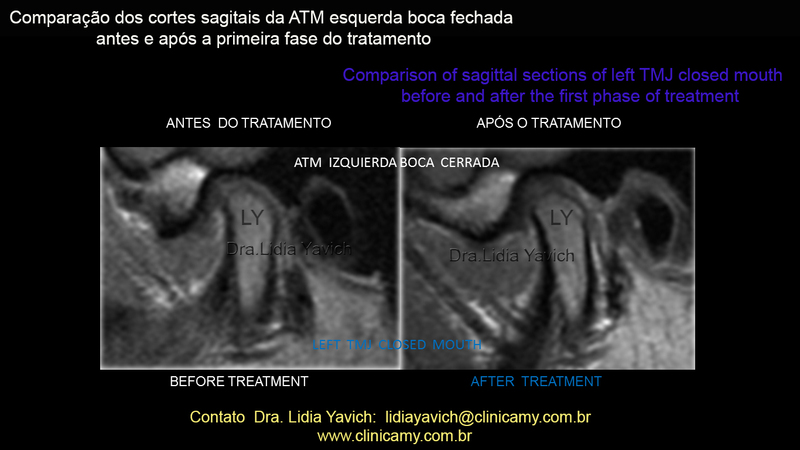 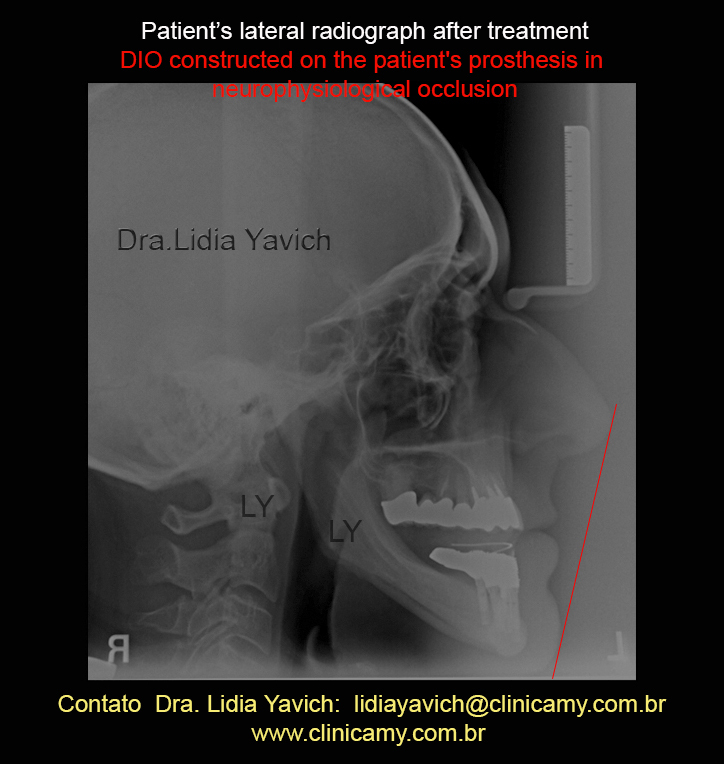 Left closed TMJ before the treatment in habitual occlusion and in a neurophysiological occlusion with the DIO. 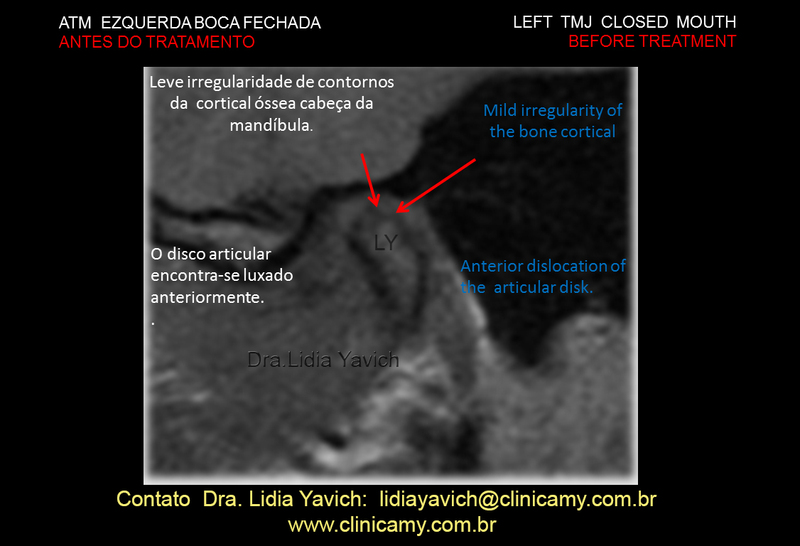 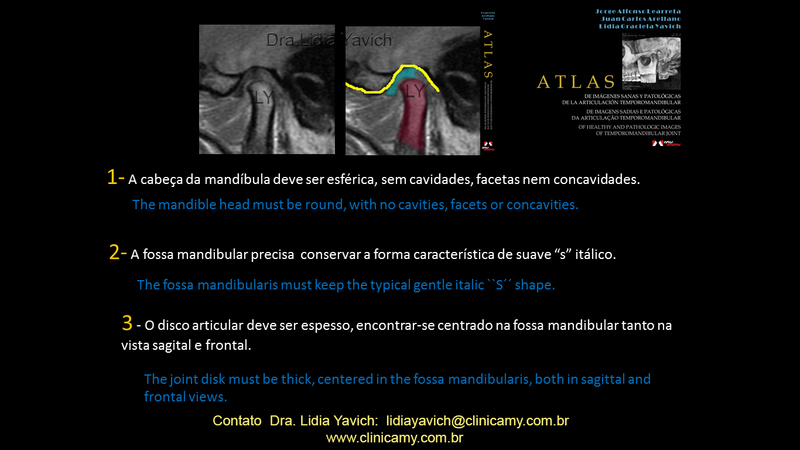 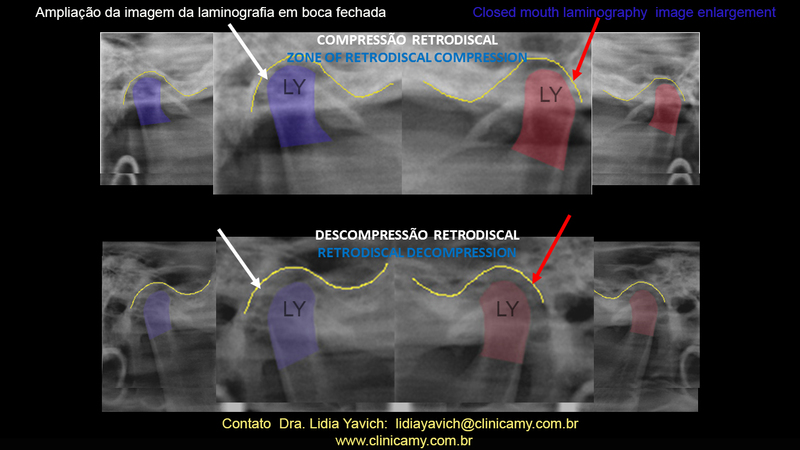 Disc in physiological position and tridimensional decompression of the mandibular head. 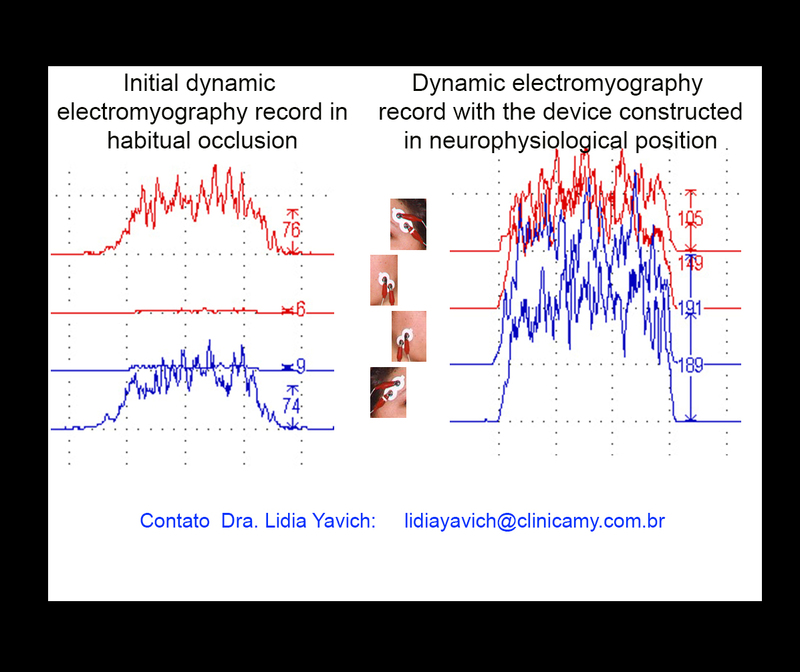 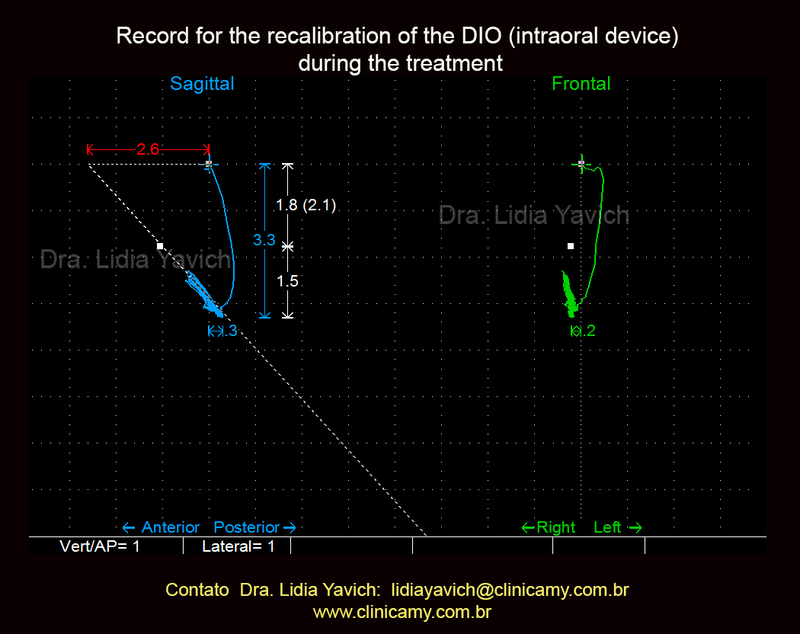 Correlation with the electromyography records in habitual occlusion and in neurophysiological occlusion with the DIO. 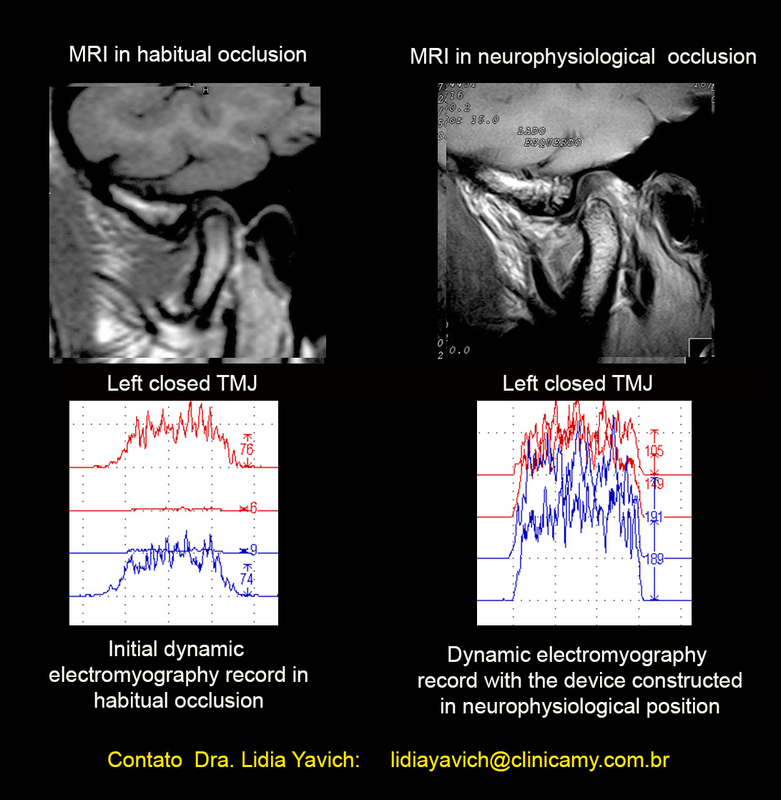 Comparison of one of the slices of the MRI. 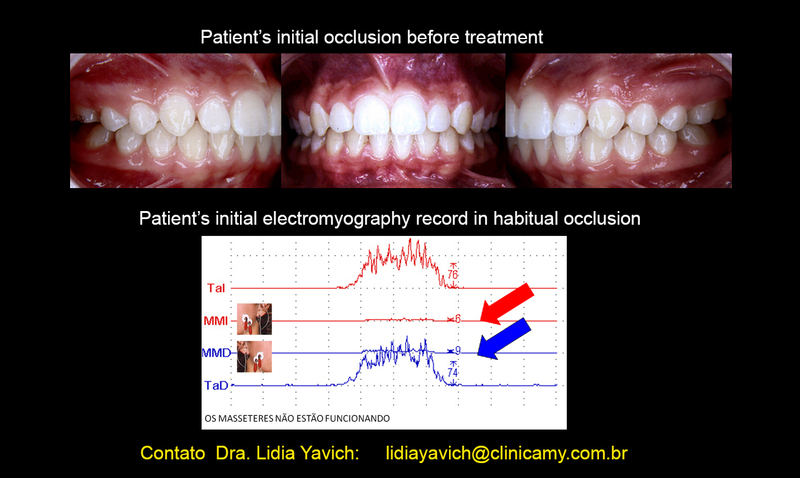 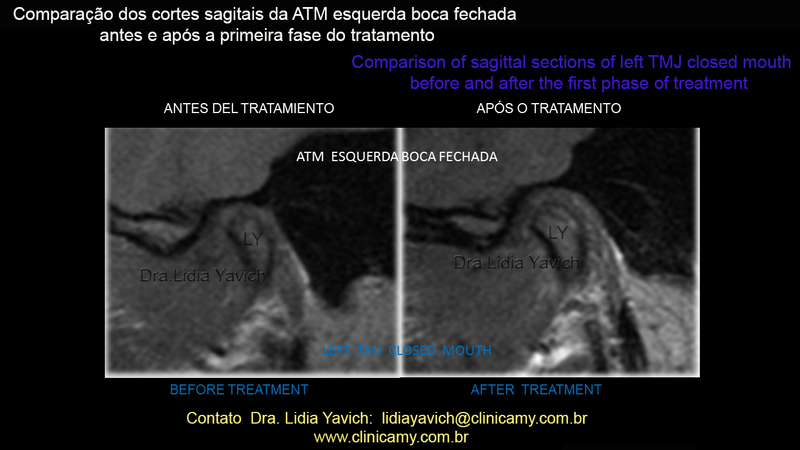 Right closed TMJ before the treatment in habitual occlusion and in a neurophysiological occlusion with the DIO. 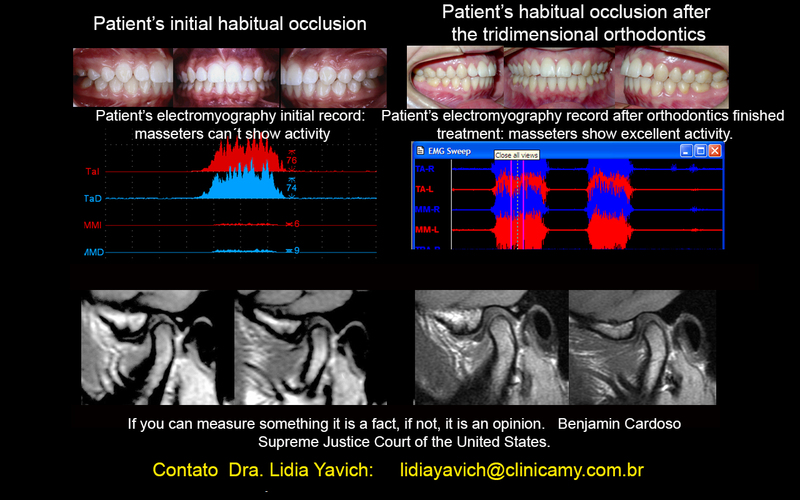 Patient’s masticatory muscles were electronically deprogrammed for the bite registration and the construction of the intraoral device. 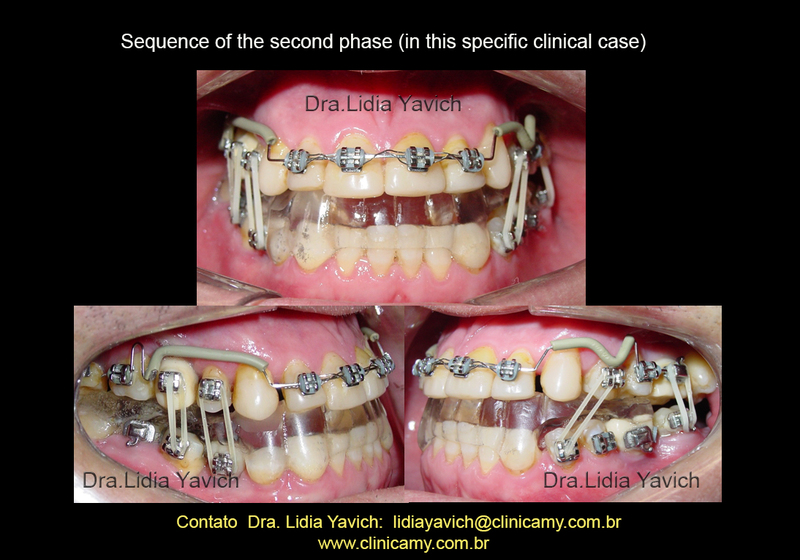 Not all case can pass to a second phase, orthodontics, prosthodontics or rehabilitation. 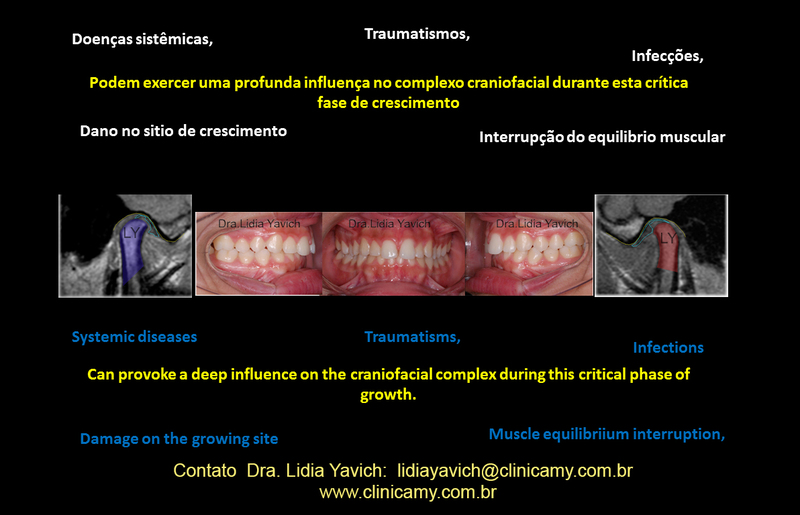 There are patients with active autoimmune disease, where is not possible to eliminate de intraoral device, because these patient’s anatomical structures ( temporomandibular joints, cervical spine…) are affected by the disease, what makes this structures unstable pillars, because of the active inflammatory process. 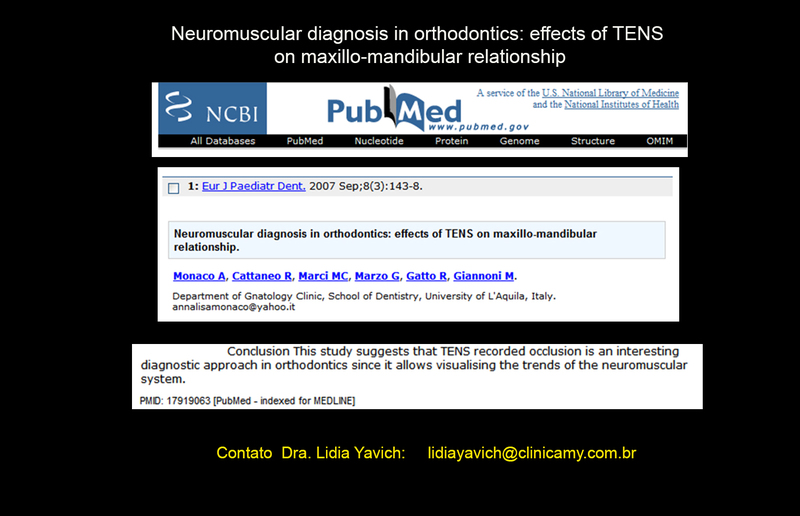 Neuromuscular diagnosis in orthodontics: effects of TENS on maxillo-mandibular relationship. 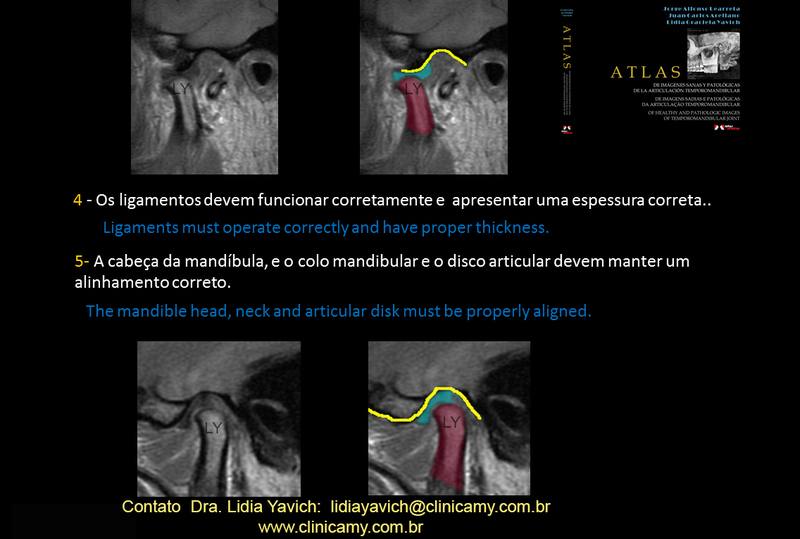 Atlas of Maxillary Orthopedics: diagnosis Thomas Irmtrud and Jonas Rakosi. 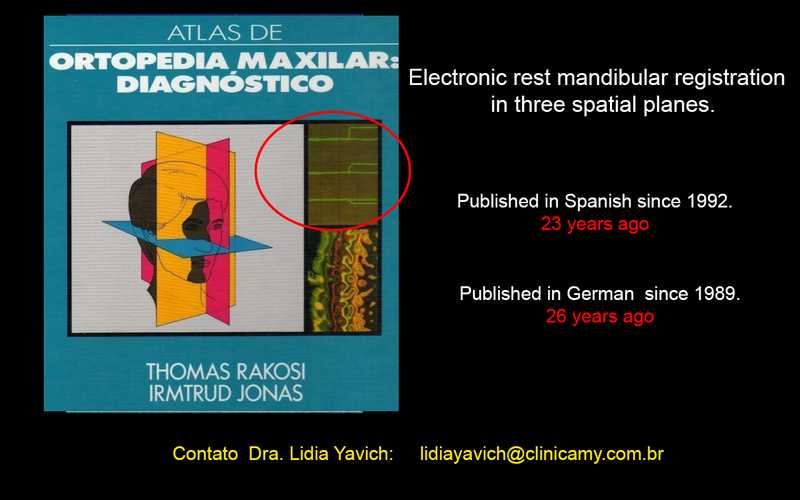 Electronic rest mandibular registration in three spatial planes. 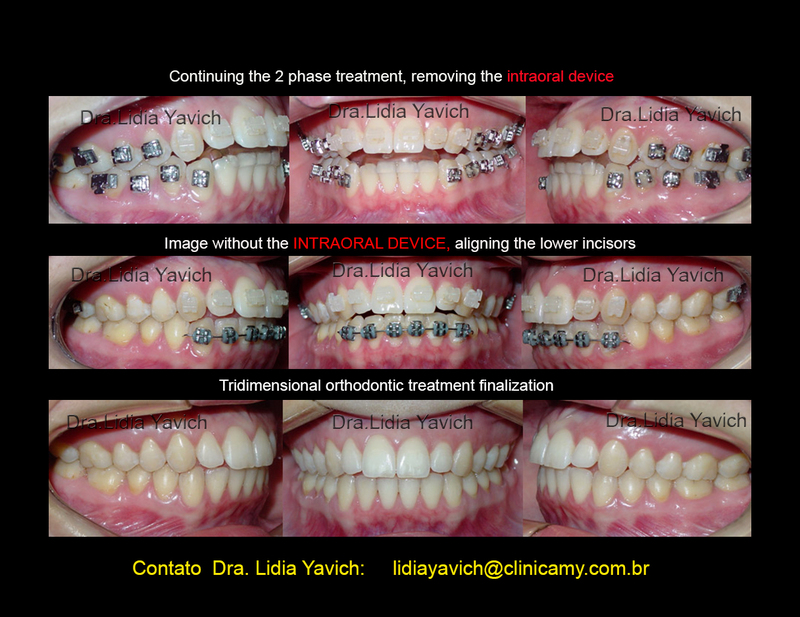 Starting the 2 phase of the treatment in this case with a tridimensional orthodontics. 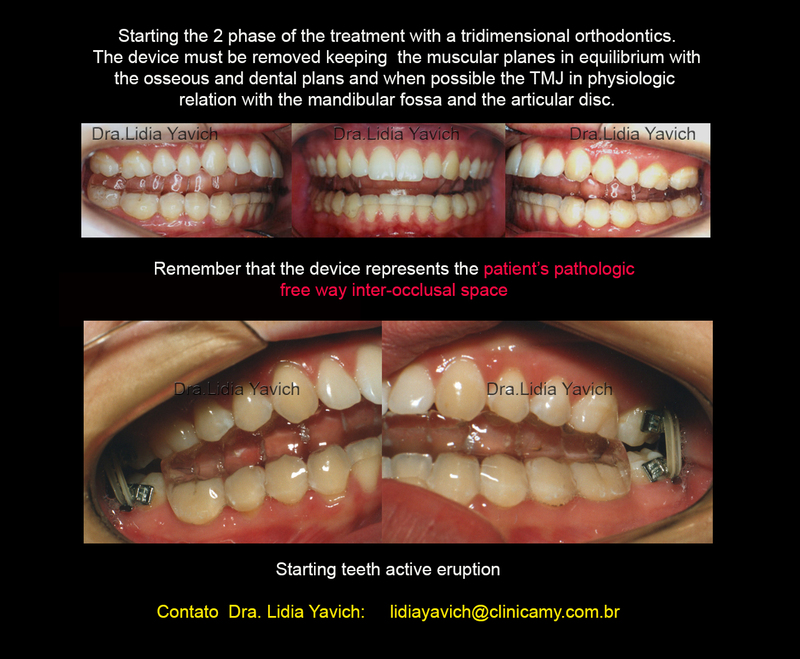 The device will be removed keeping the muscular planes in equilibrium with the osseous and dental plans. 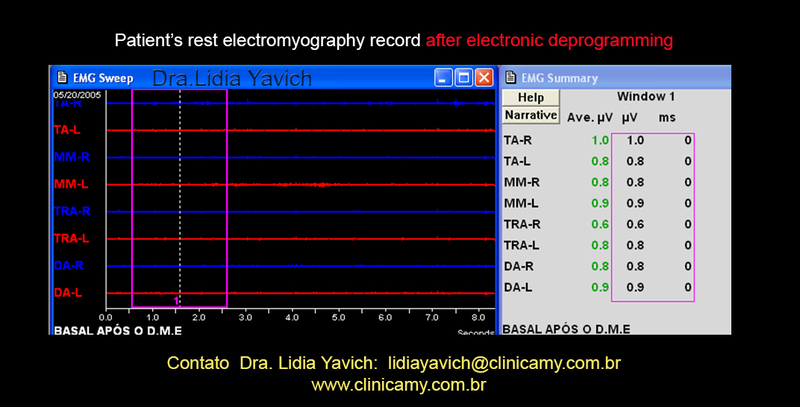 INITIATING THE ACTIVE ERUPTION. 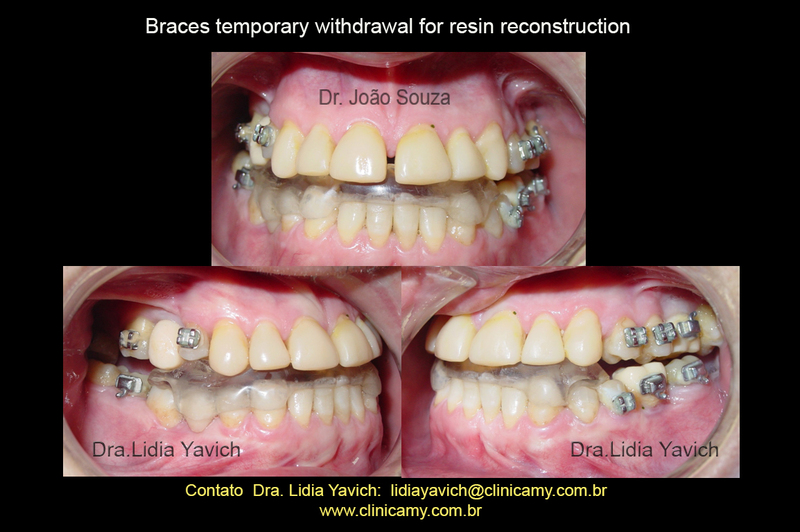 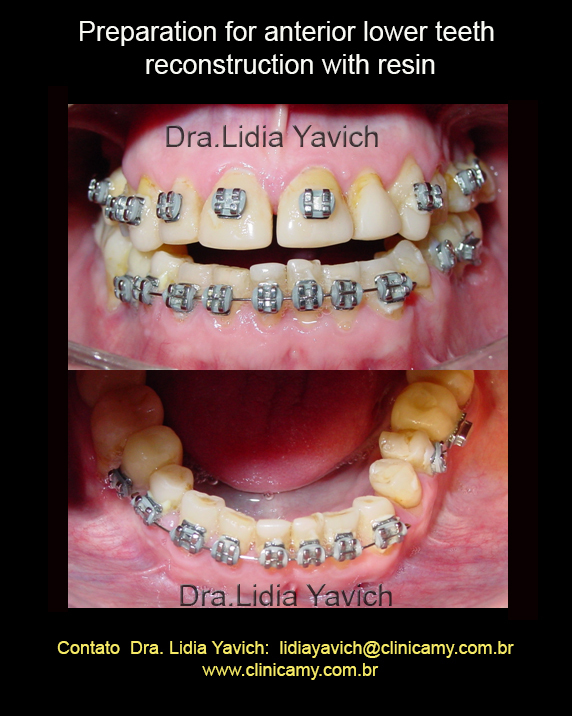 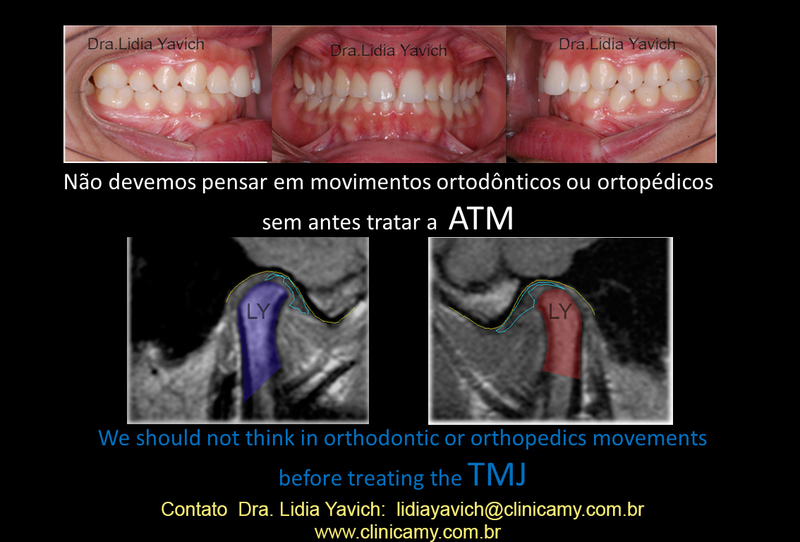 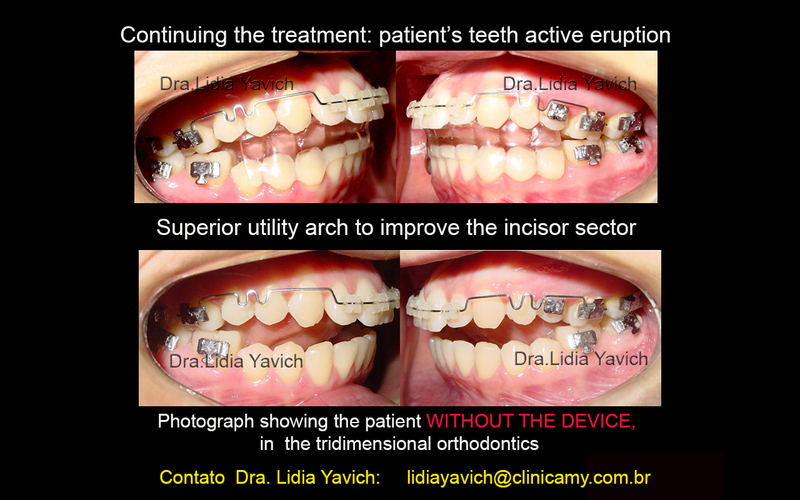 Continuing the treatment in the tridimensional orthodontics. 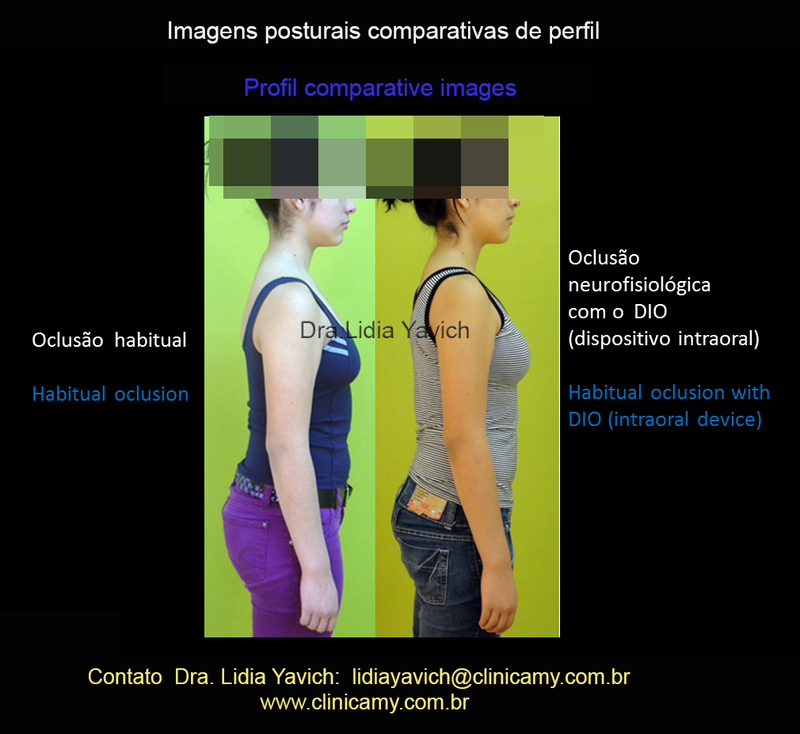 Image with and without the device. 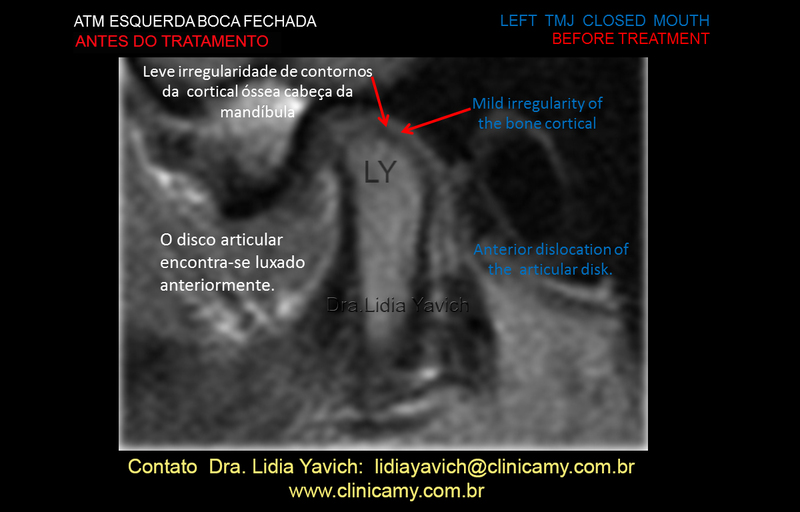 Posterior sector already erupted. 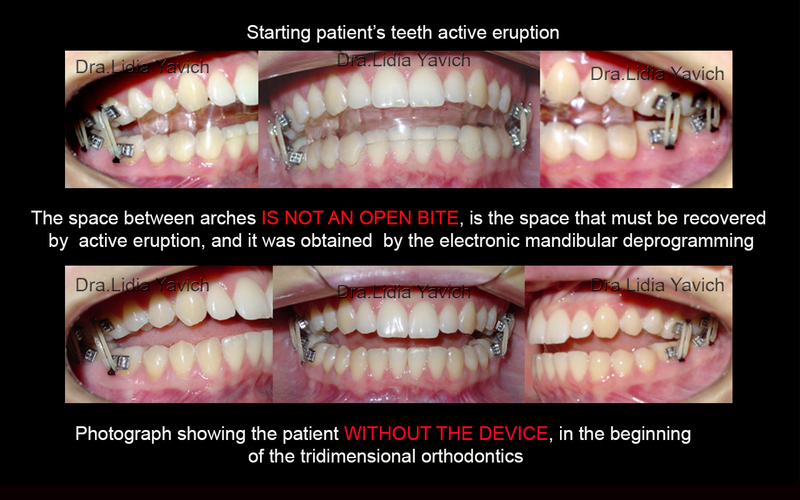 Molar and pre-molar sector already erupted. 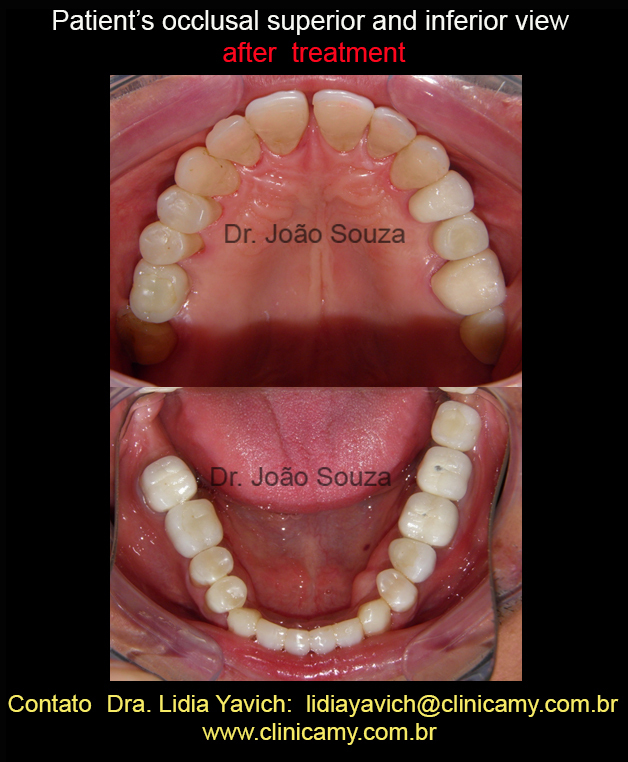 Alignment of the lower incisors and finalization of the tridimensional orthodontics in the second phase of TMJ Pathologies. 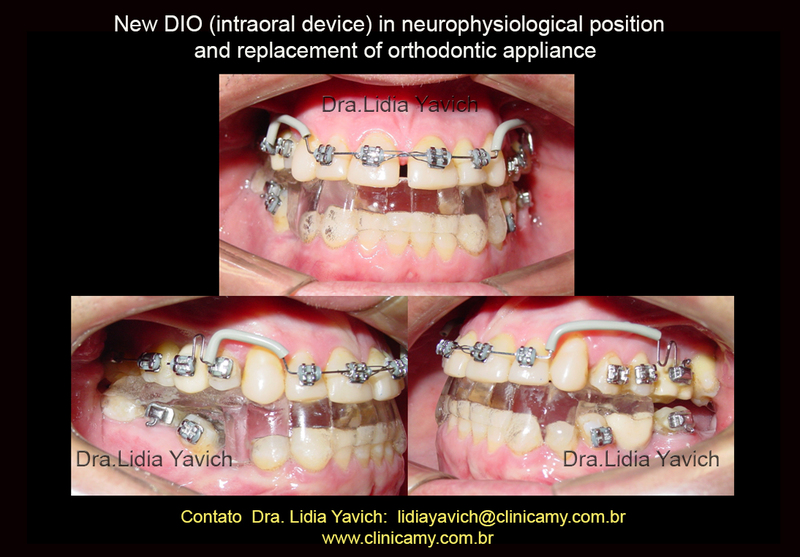 The ultimate goal in an orthodontic treatment is to treat all three components of the stomatognathic system and create an environment for synergistic function of the teeth, temporomandibular joints and neuromuscular system. 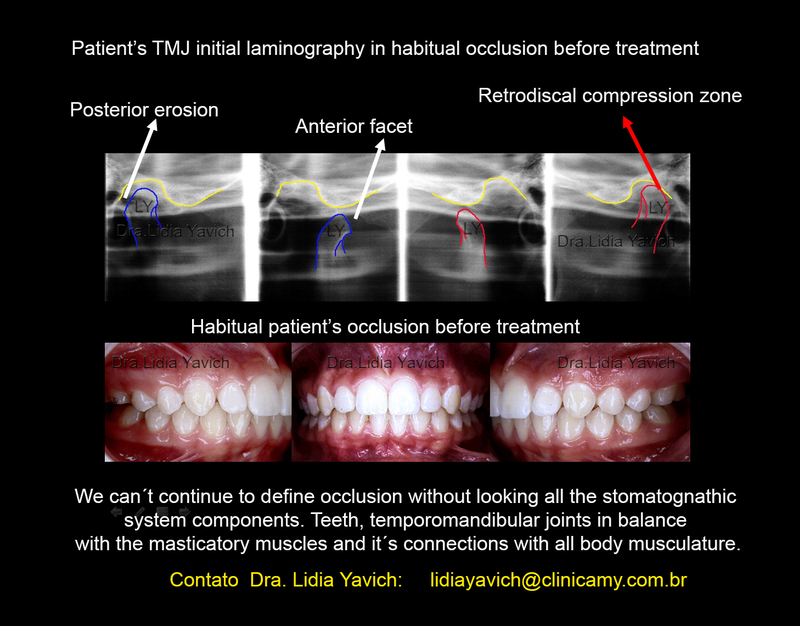 A tridimensional orthodontic needs to maintain the tridimensional position of the mandible in balance with its osseous and muscular planes obtained in the first phase, and whenever possible it needs to keep the temporomandibular joint in an harmonic relation with the mandibular fossa as well with the articular disc in correct position. 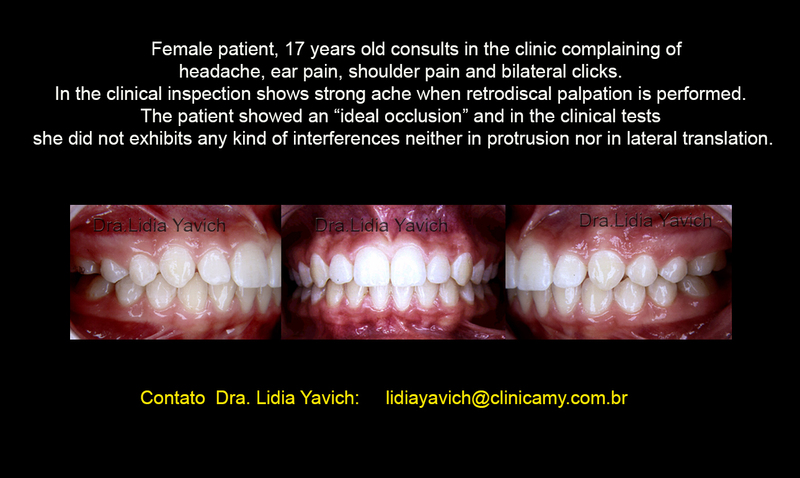 The patient’s clinical history, clinical inspection, technology, bioinstrumentation and images, helped us to improve TMJ pathologies diagnosis and treatment. 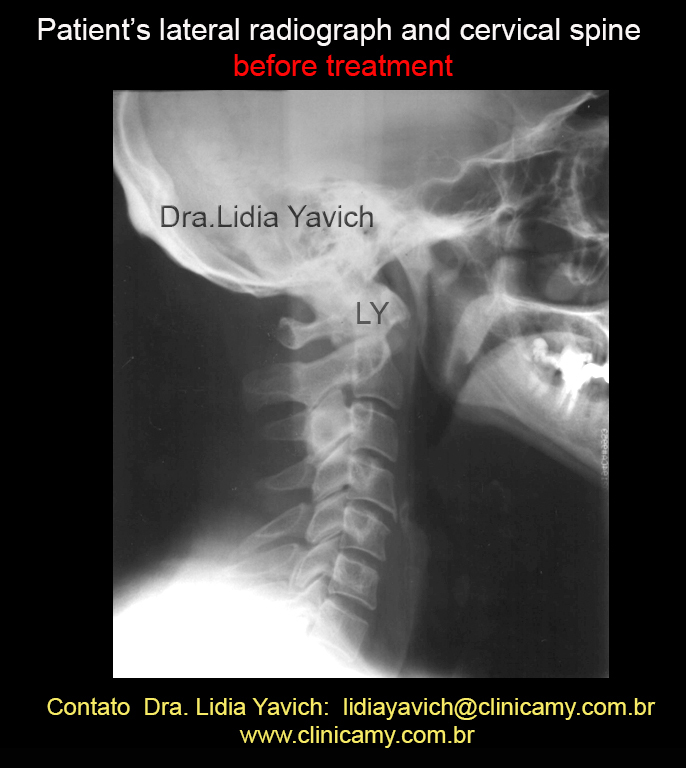 When we arrive to a SECOND PHASE, many professionals and patients don´t know that the active eruption has been used from MANY, MANY years ago. 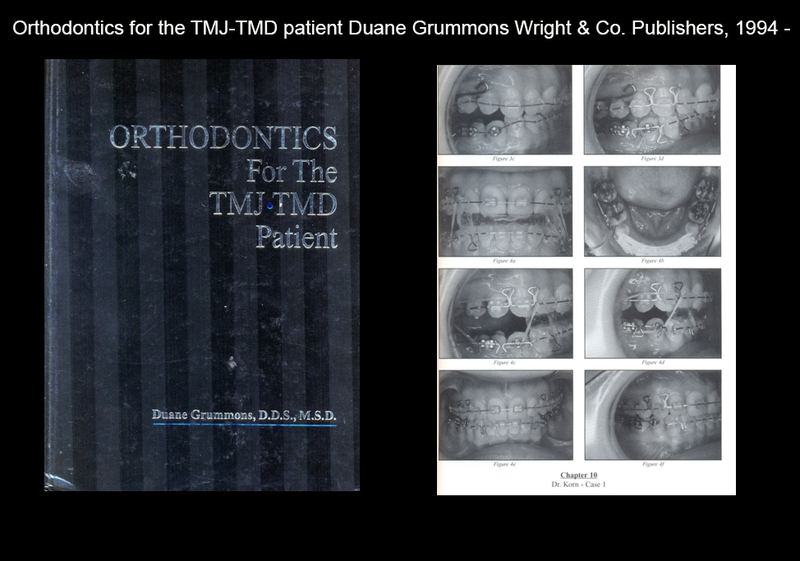 Dr. Duane Grummons book edited in 1994 is only one of the several examples. 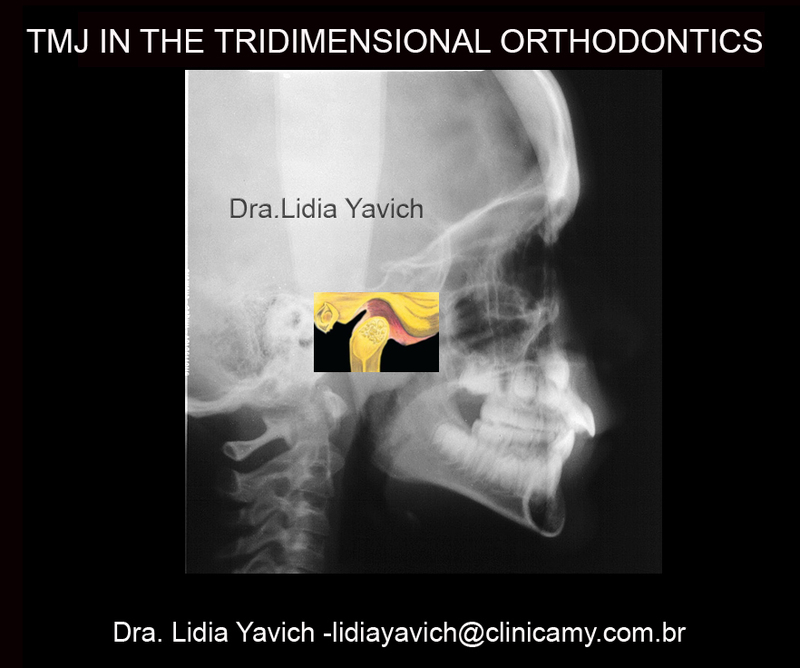 Logically a TRIDIMENSIONAL ORTHODONTICS in the patient with TMJ Pathology needs a differential diagnosis and a restorative treatment in the FIRST PHASE. 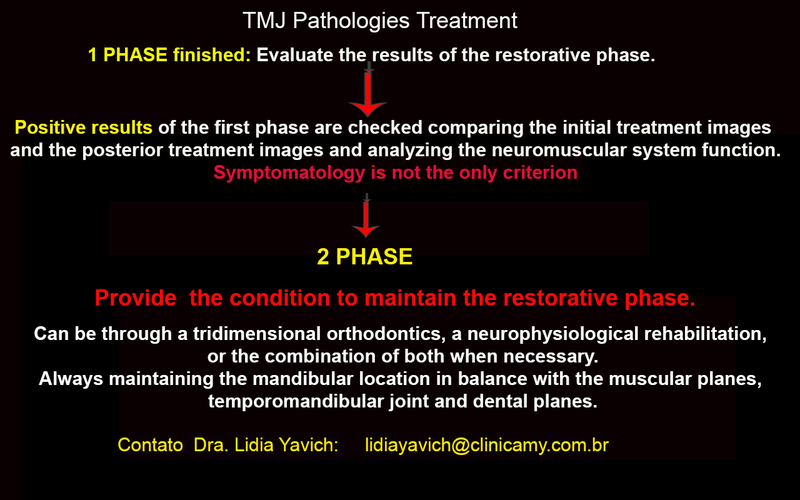 We may not understand treatments failure, in the cases where the patients present TMJ pathologies.